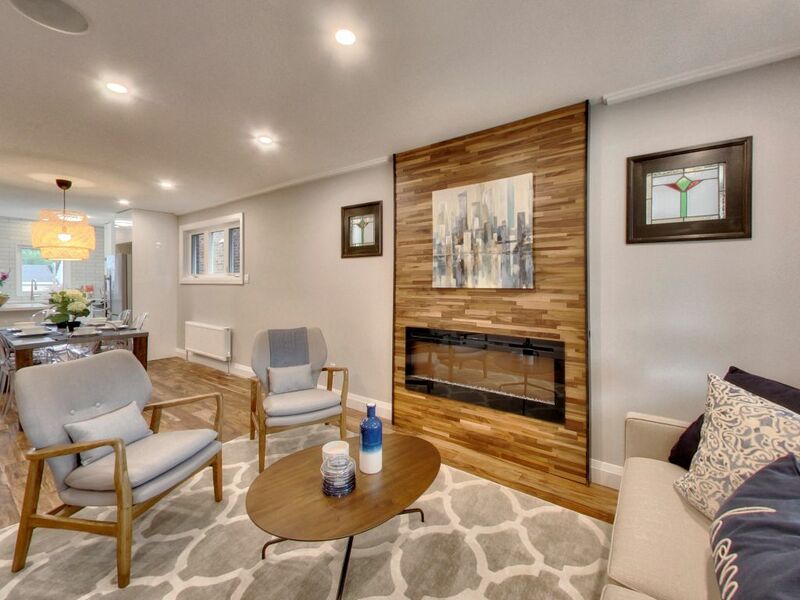 $ 989,000 | 3 bedrooms | 2 bathrooms | 1159 sq. 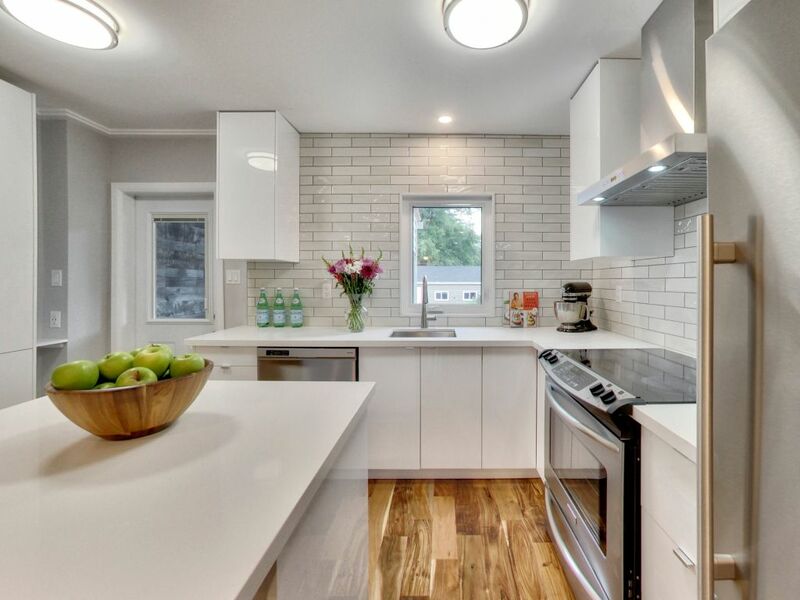 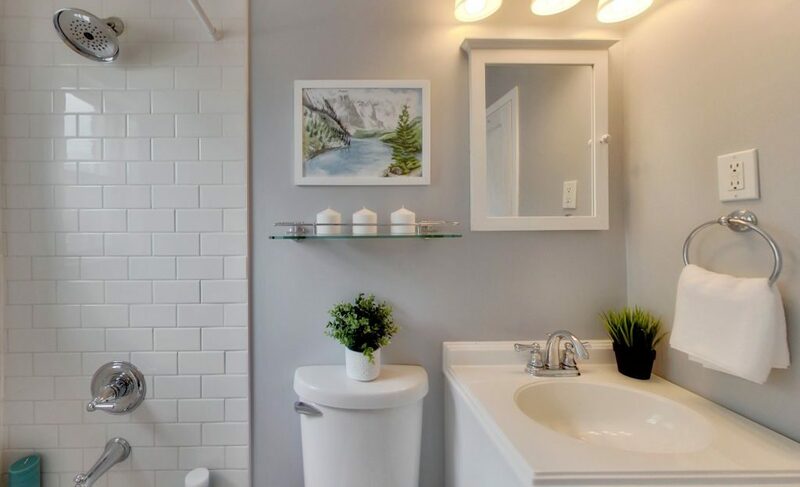 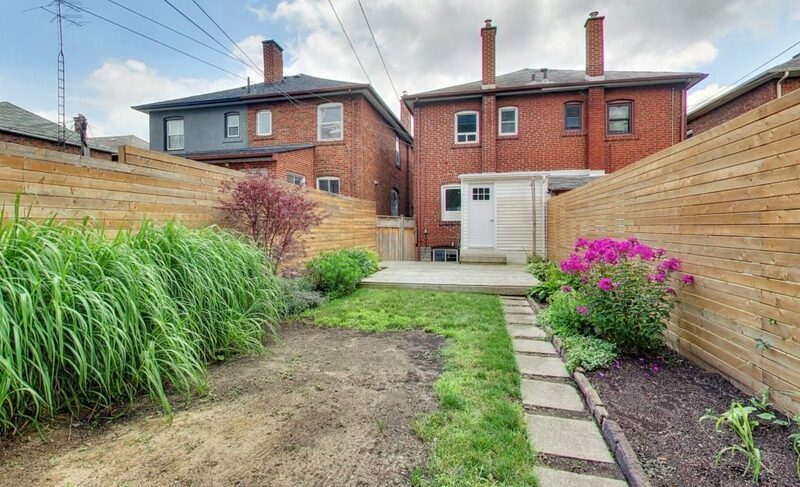 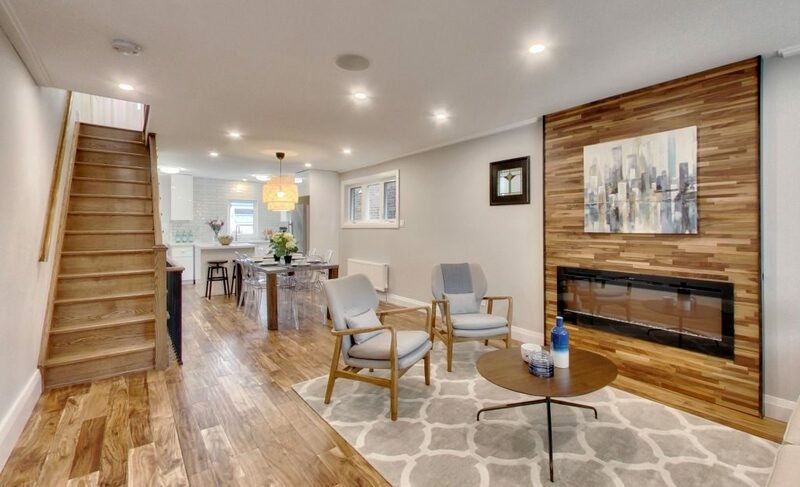 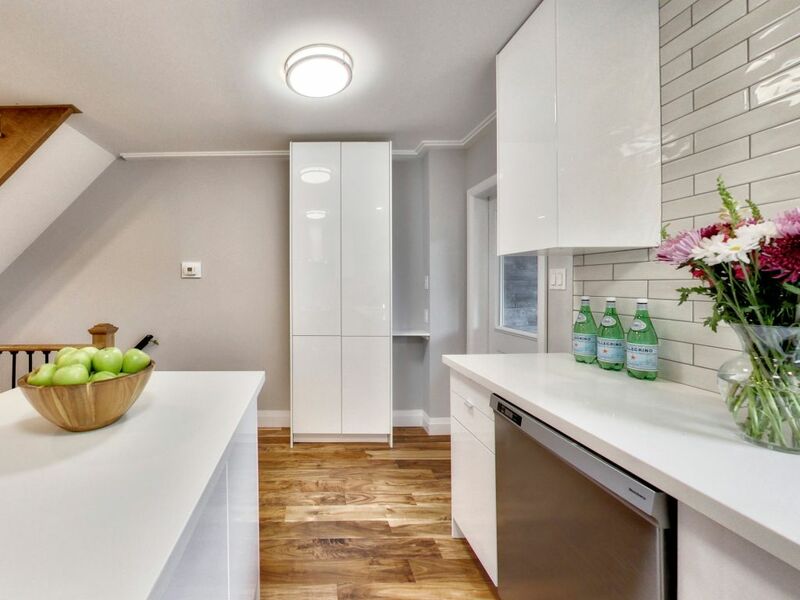 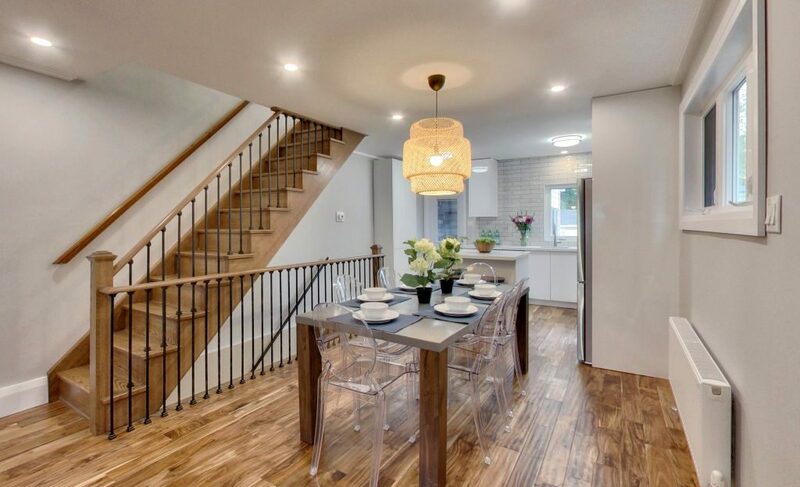 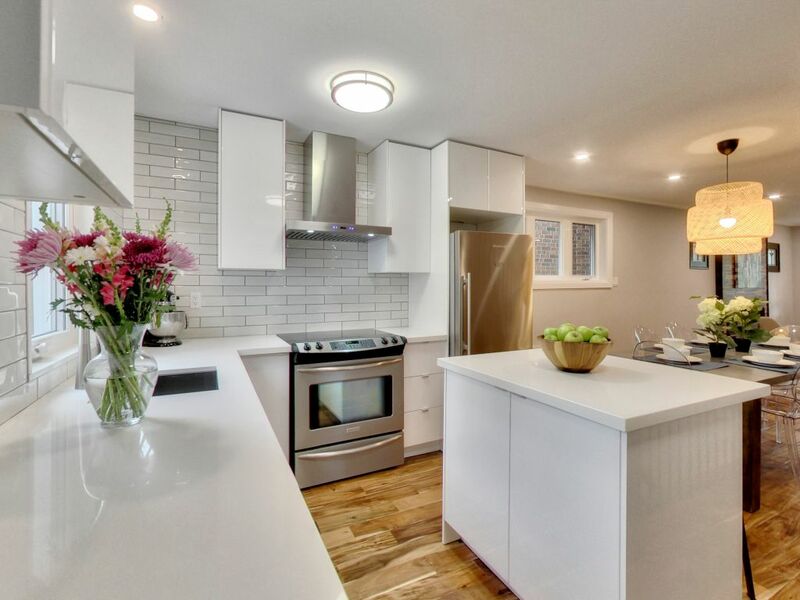 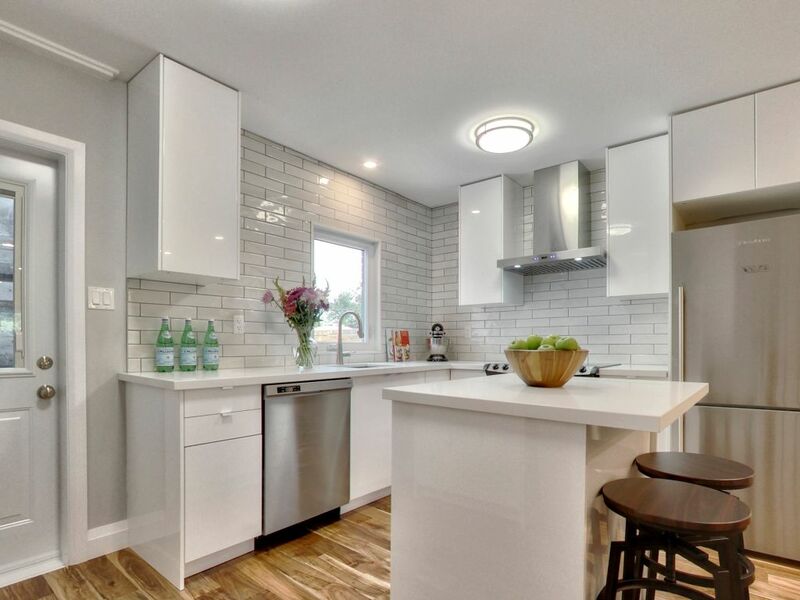 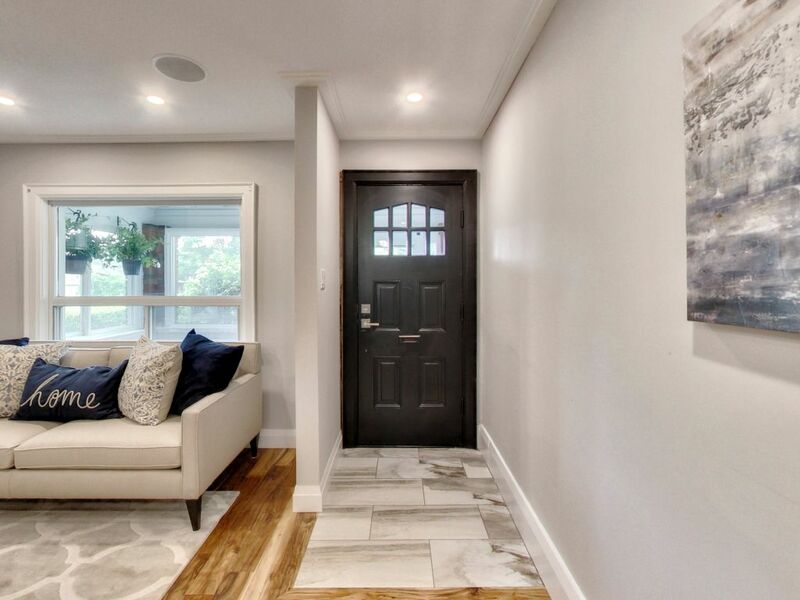 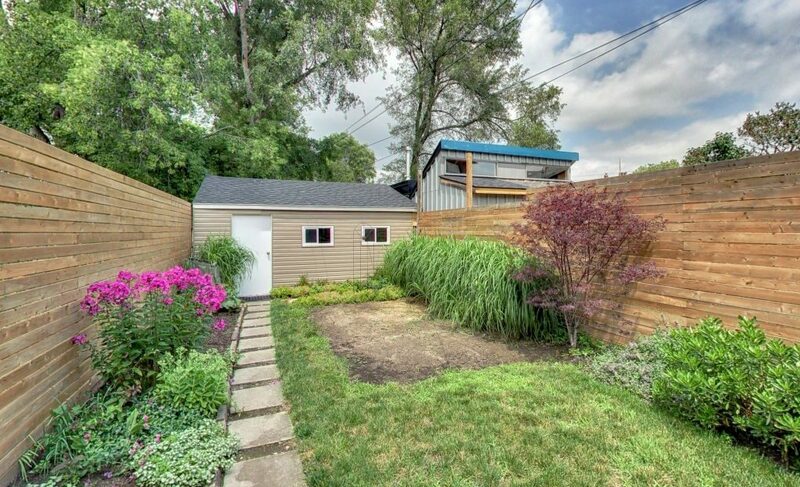 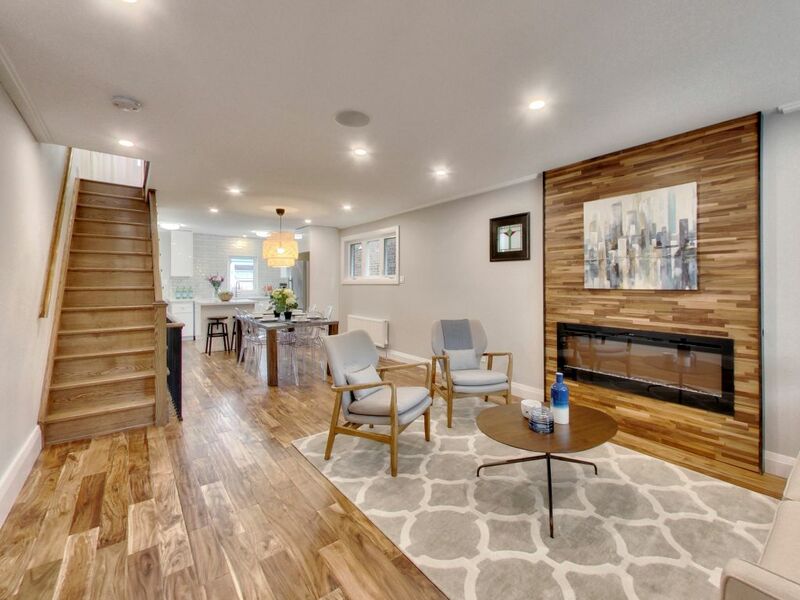 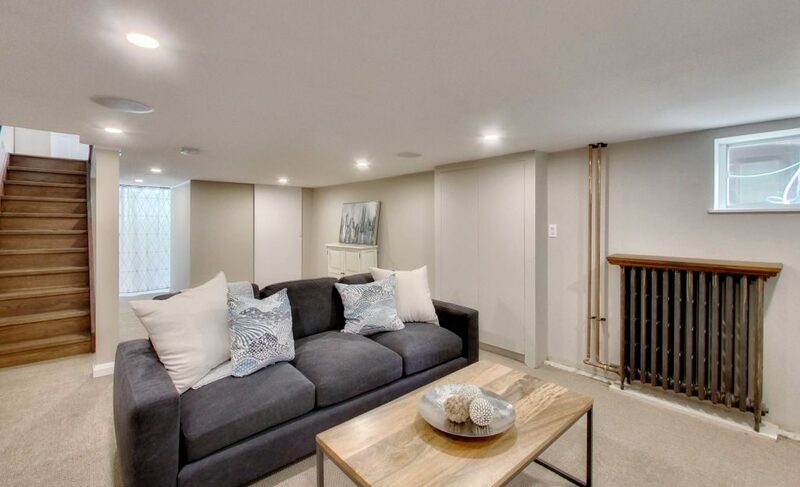 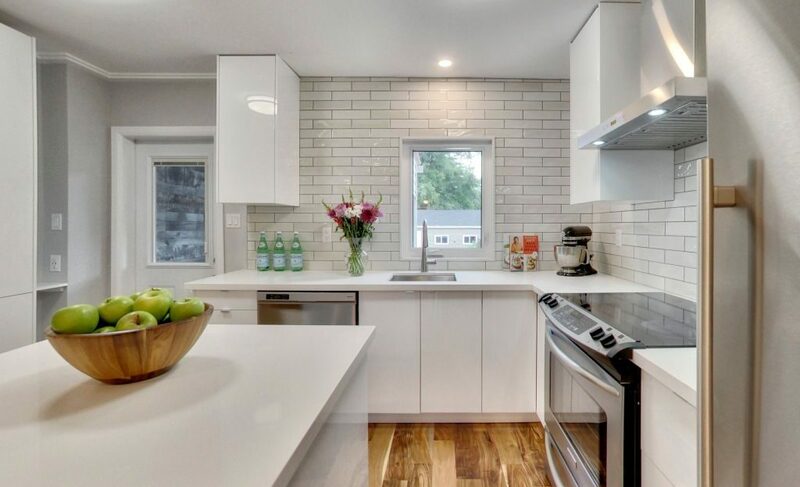 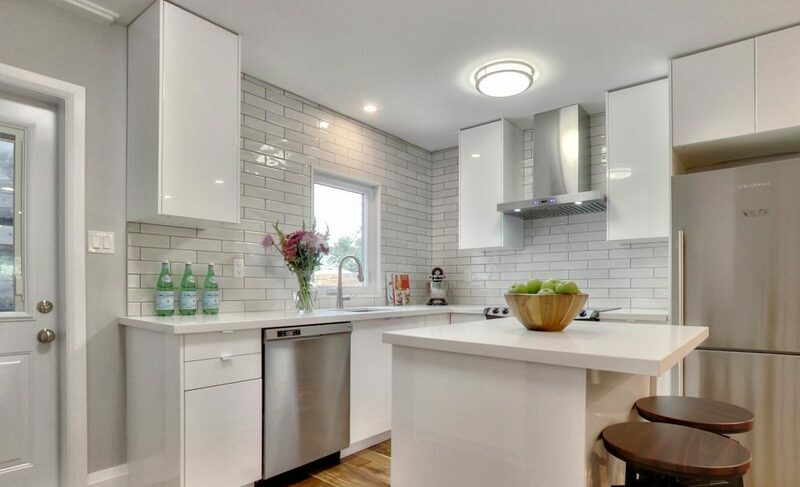 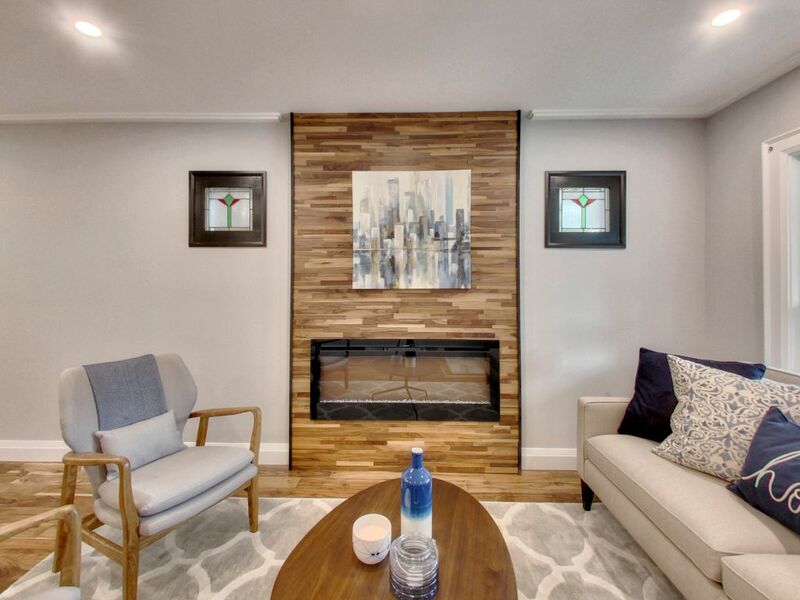 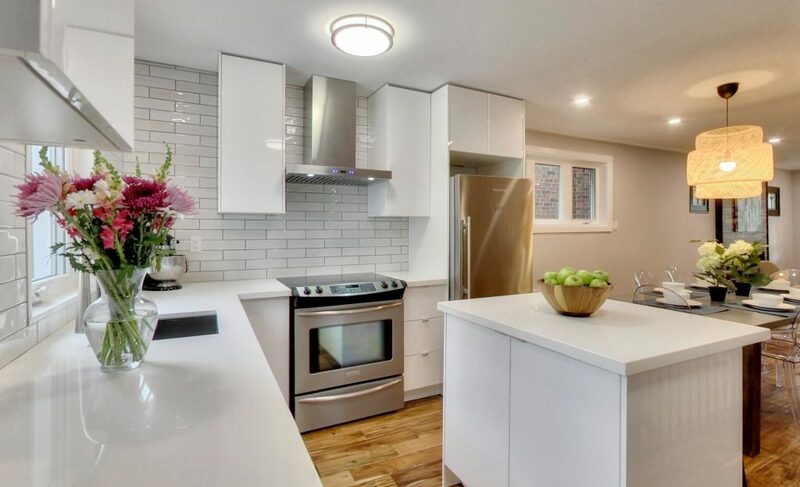 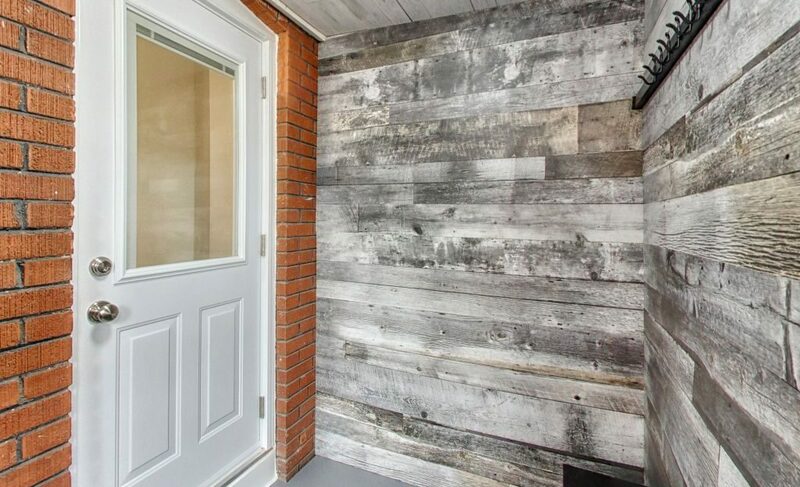 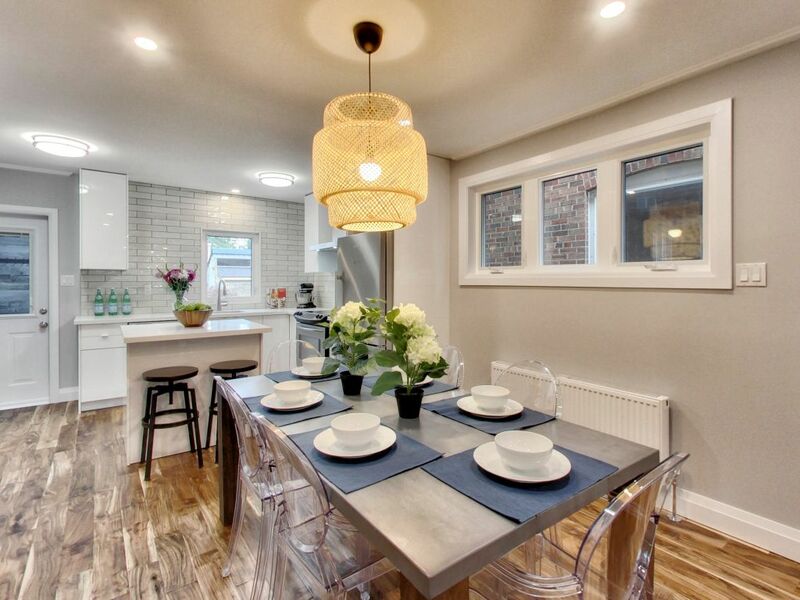 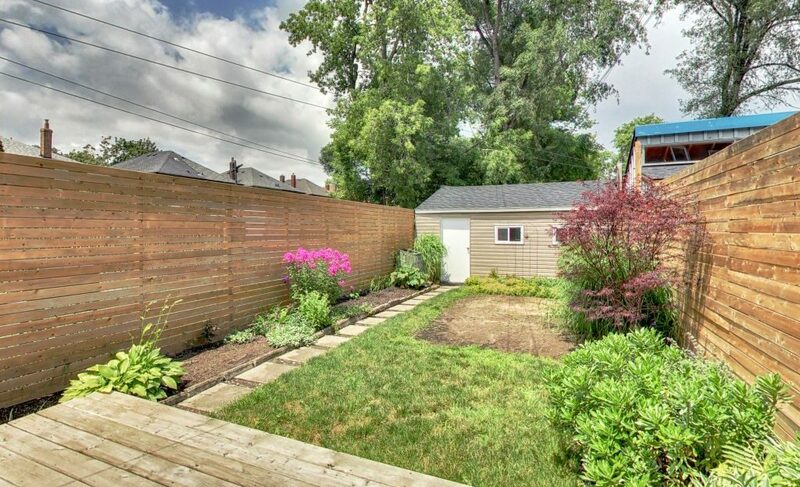 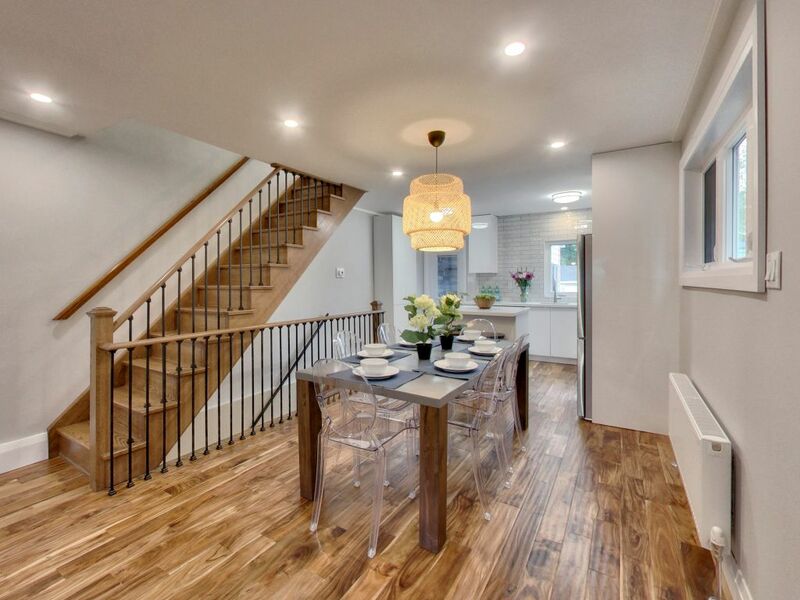 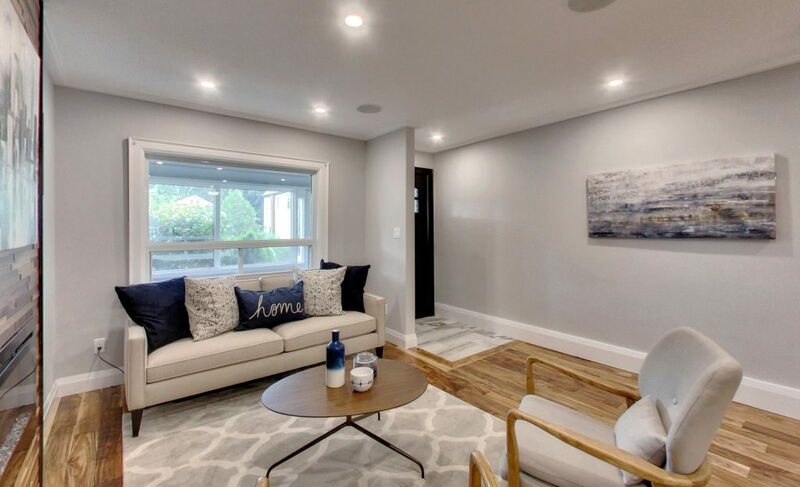 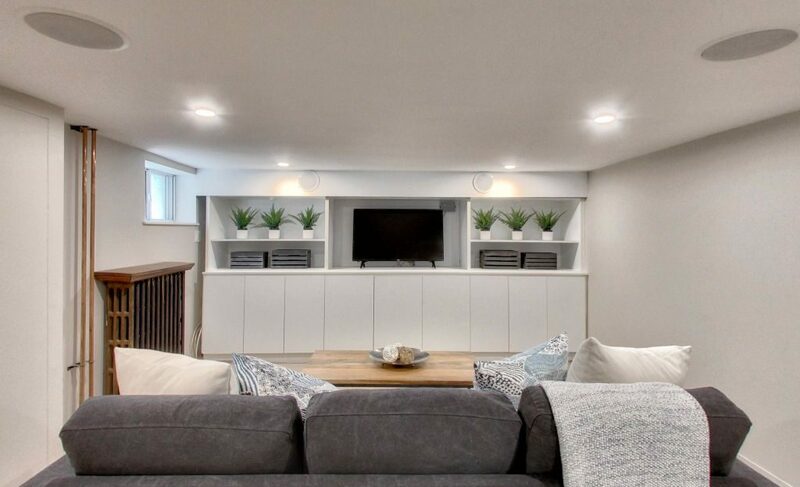 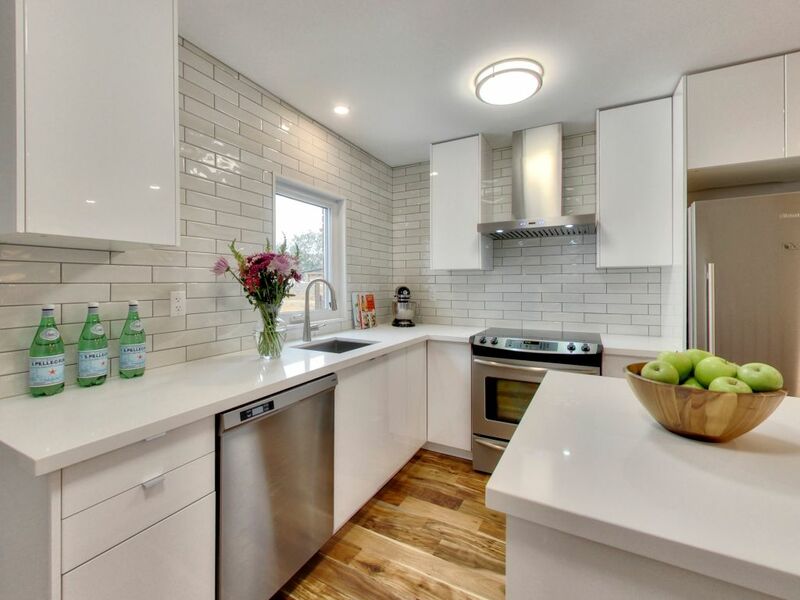 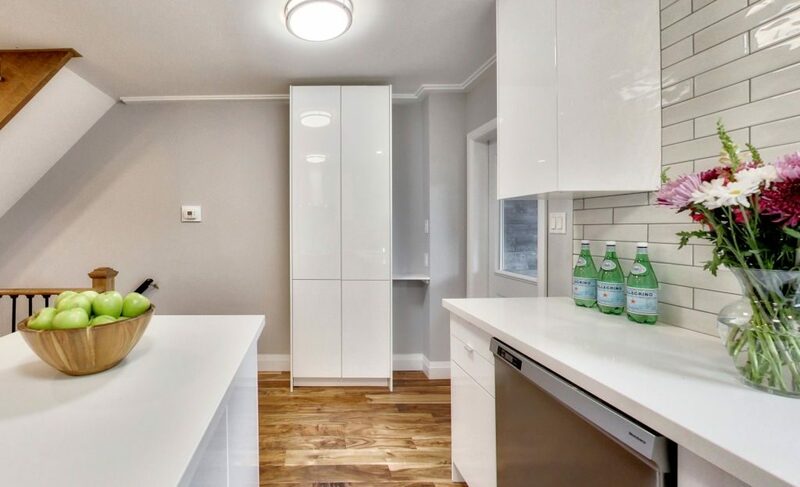 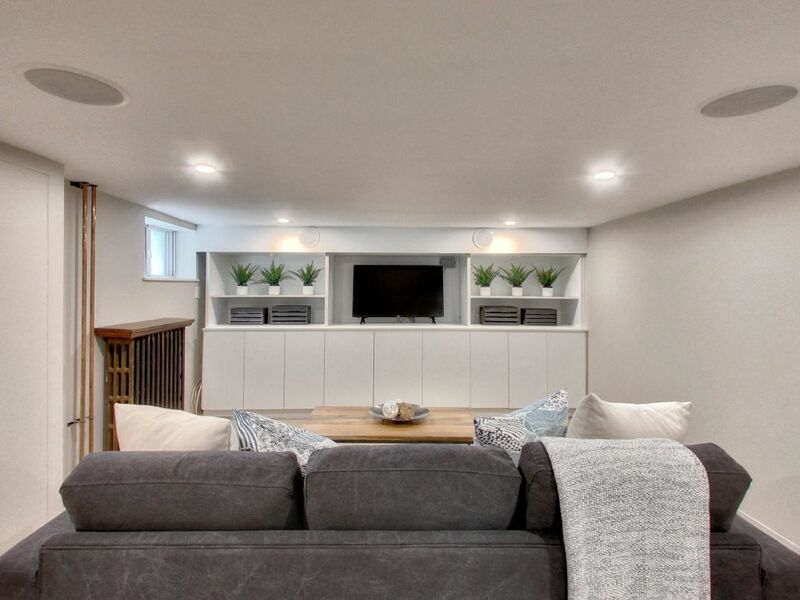 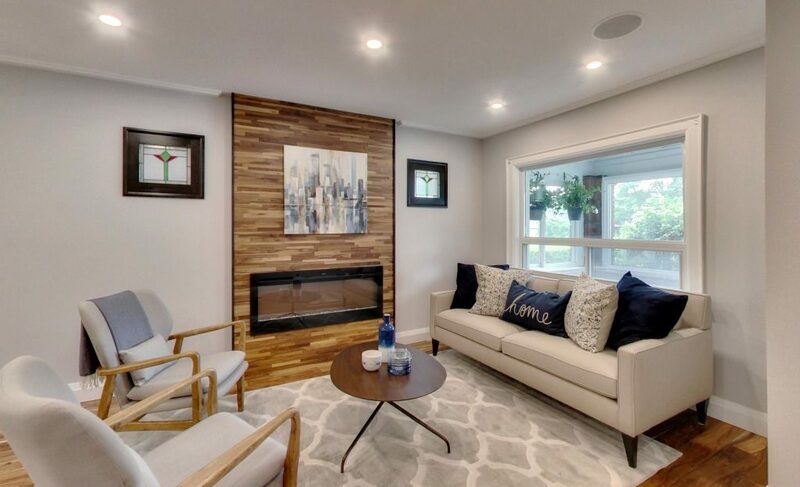 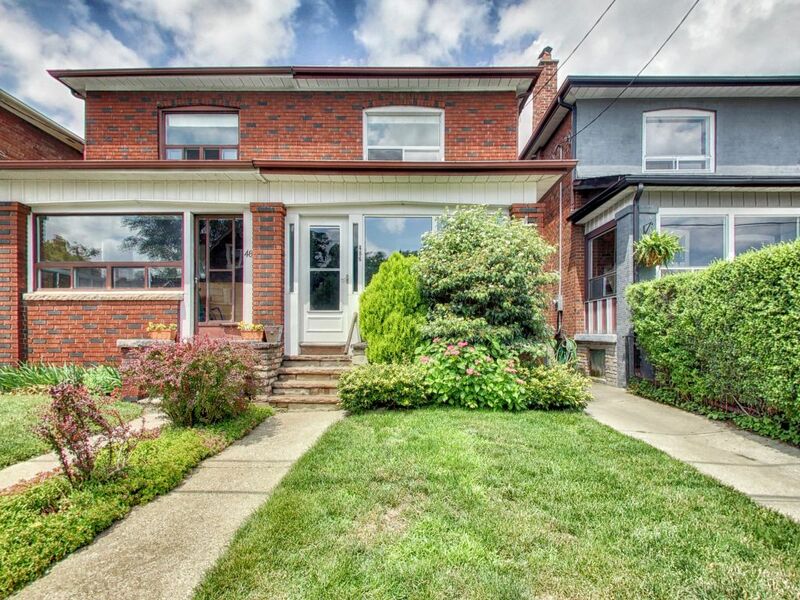 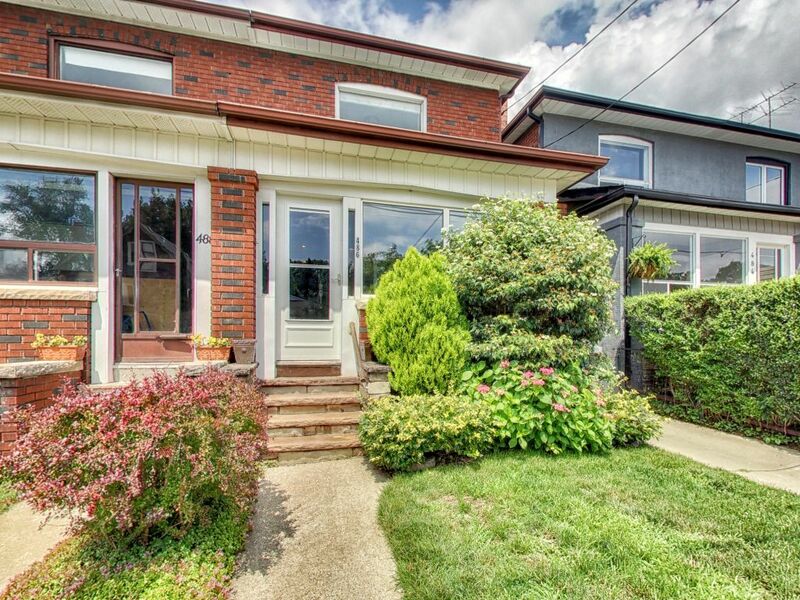 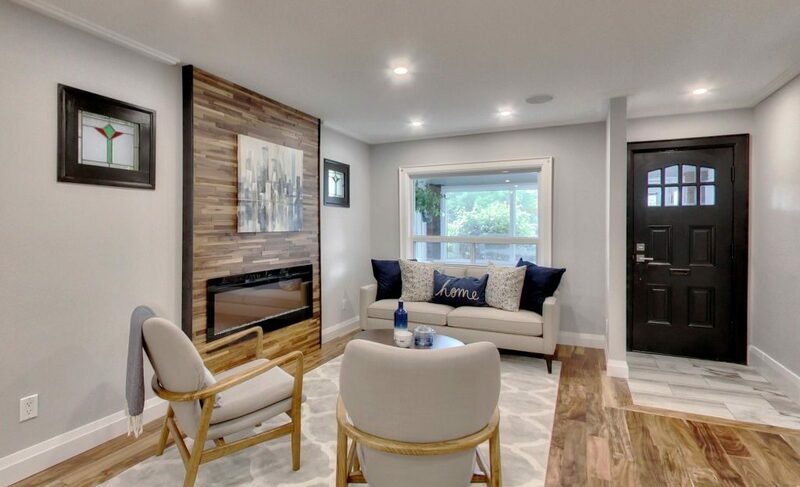 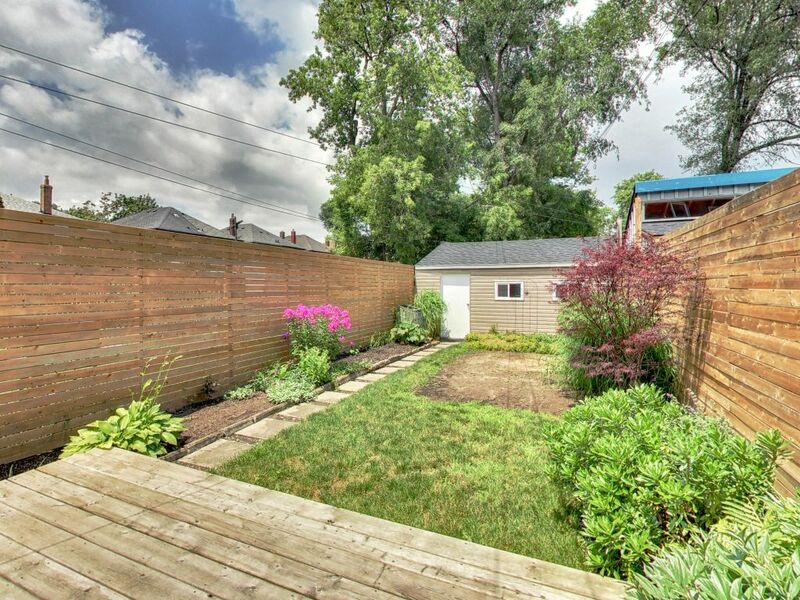 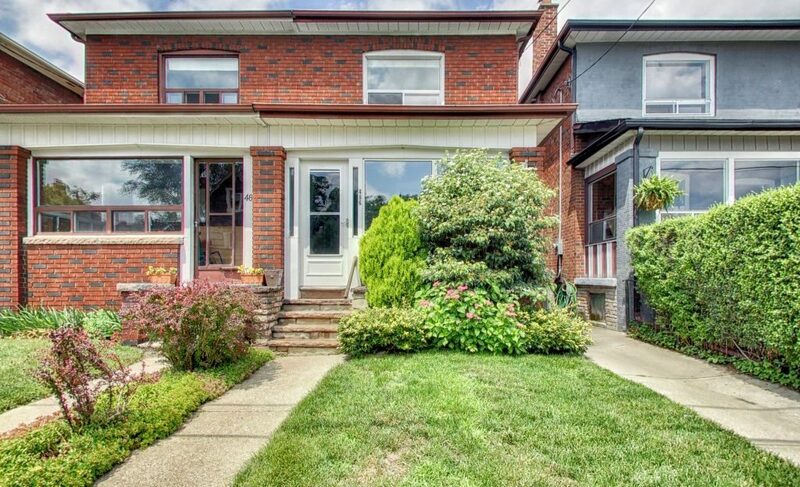 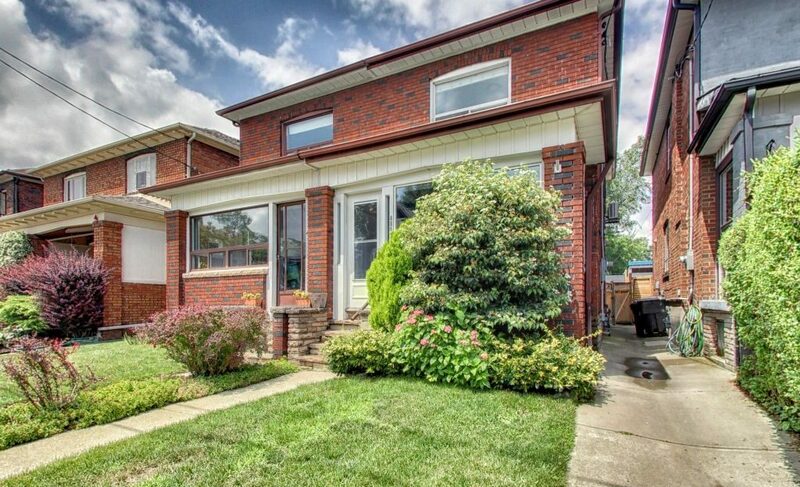 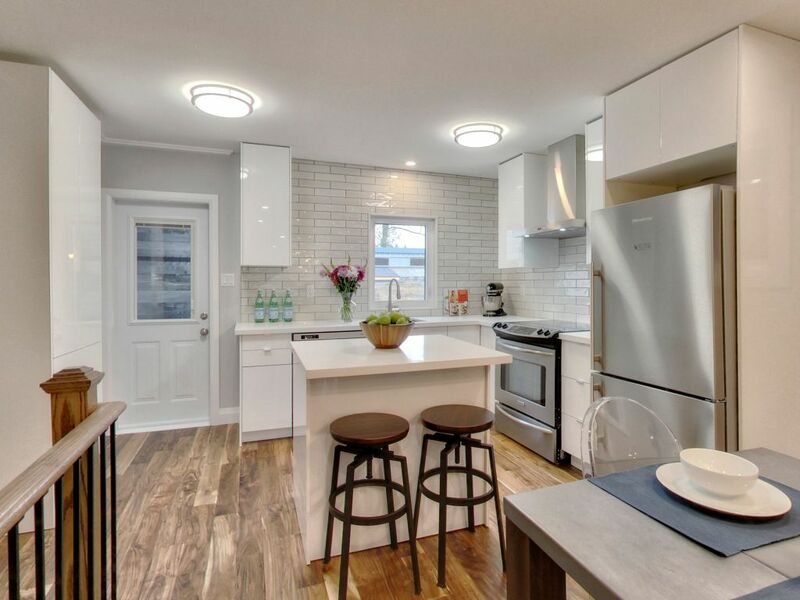 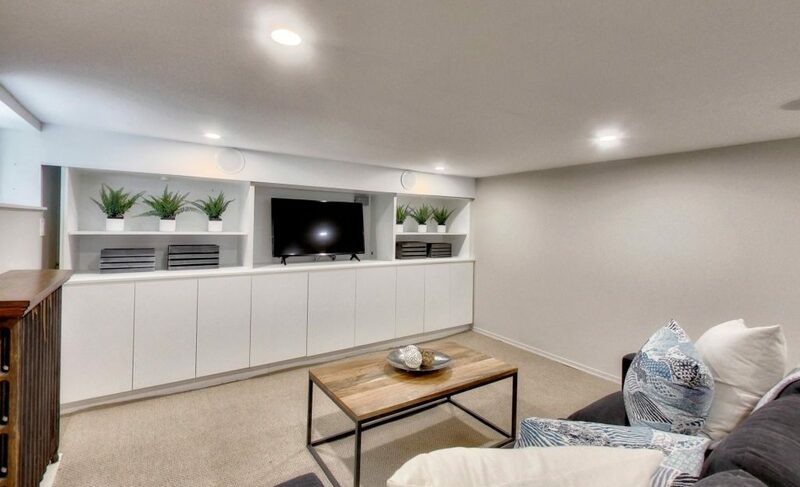 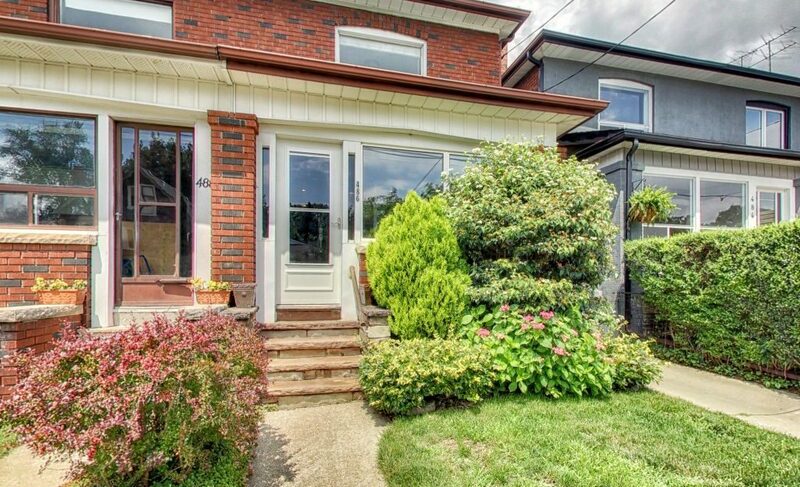 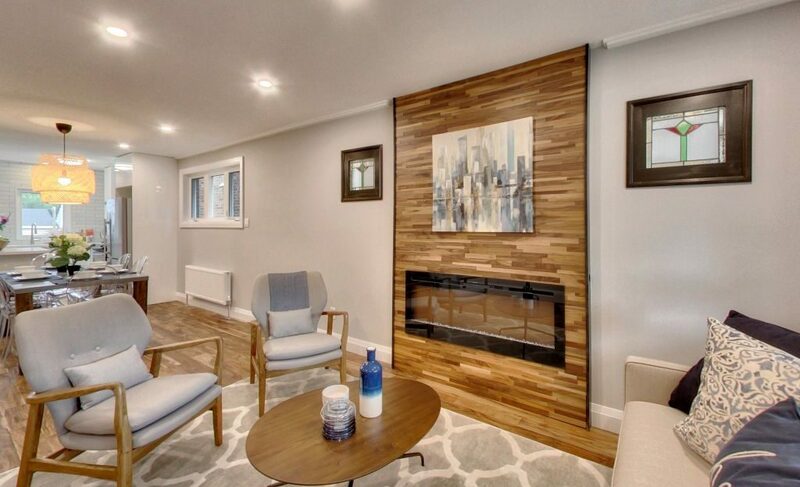 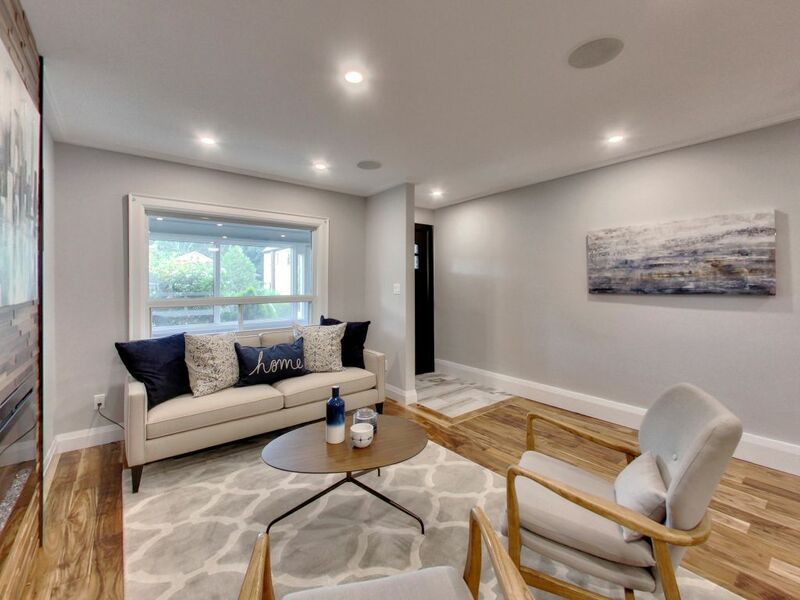 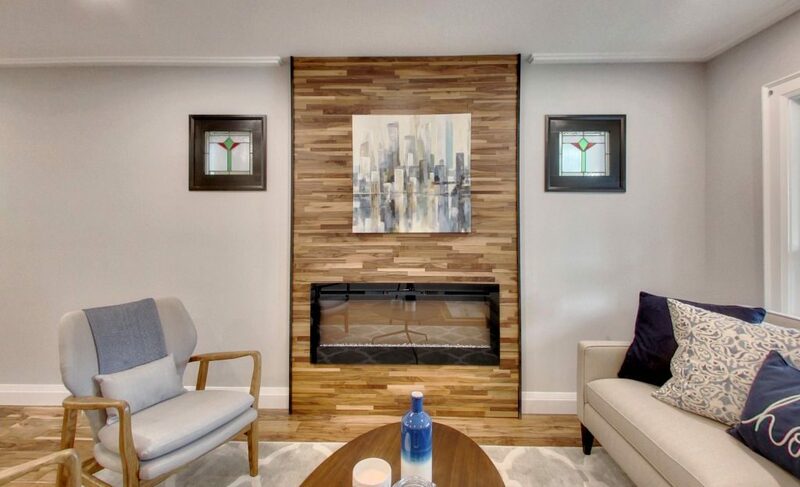 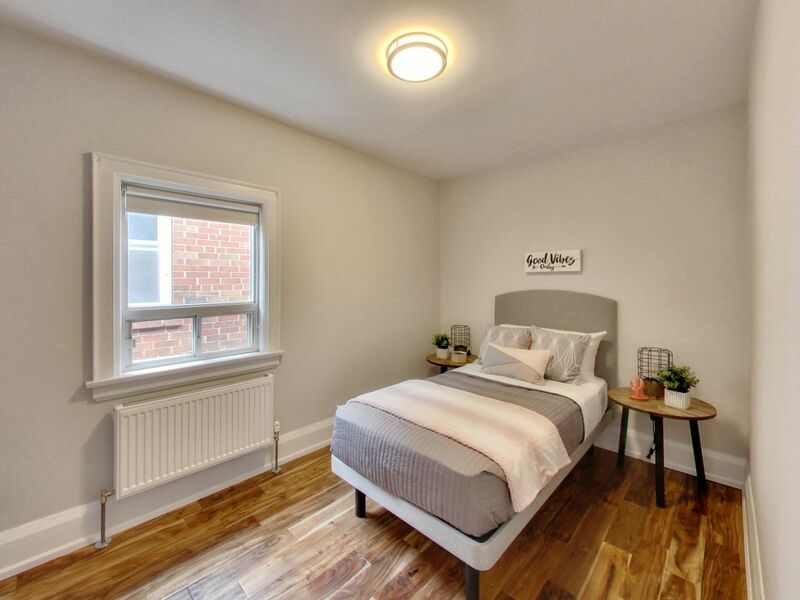 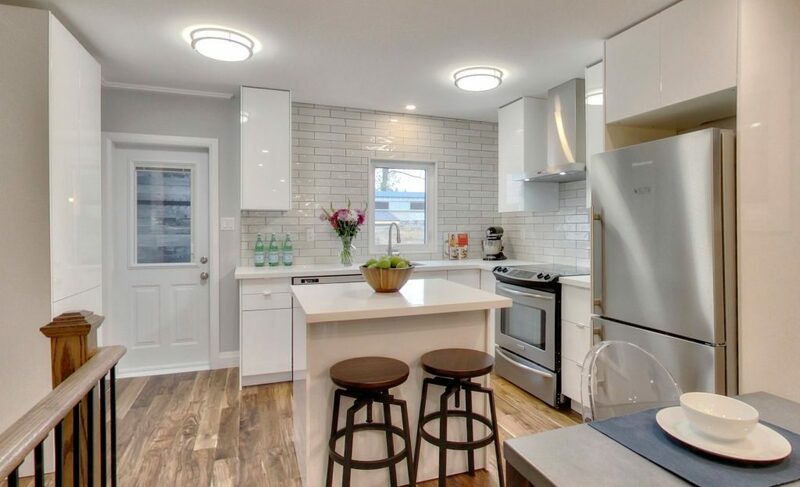 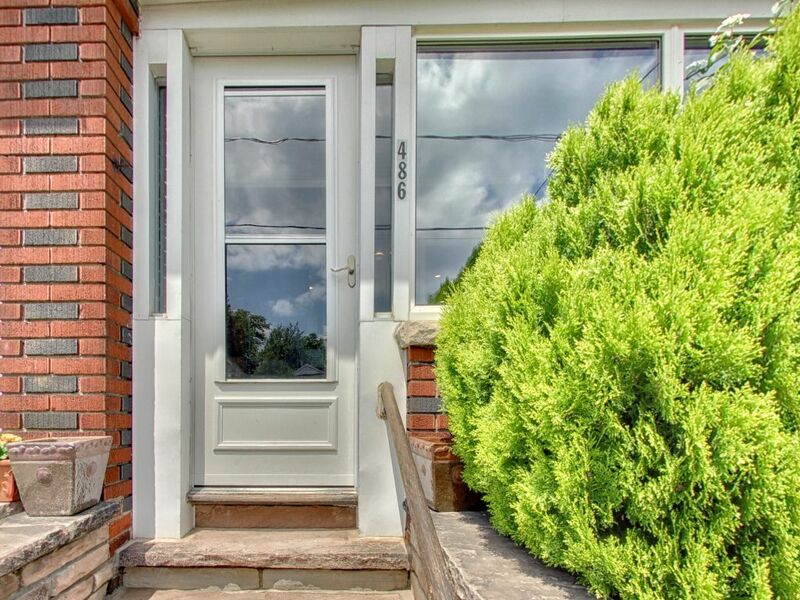 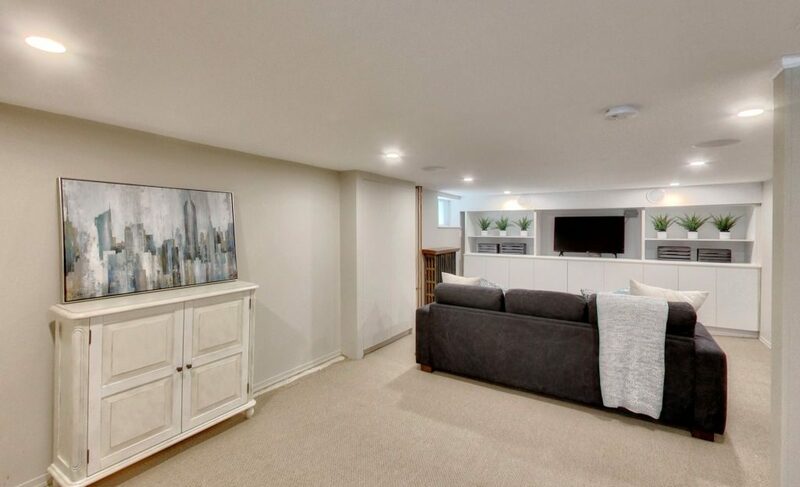 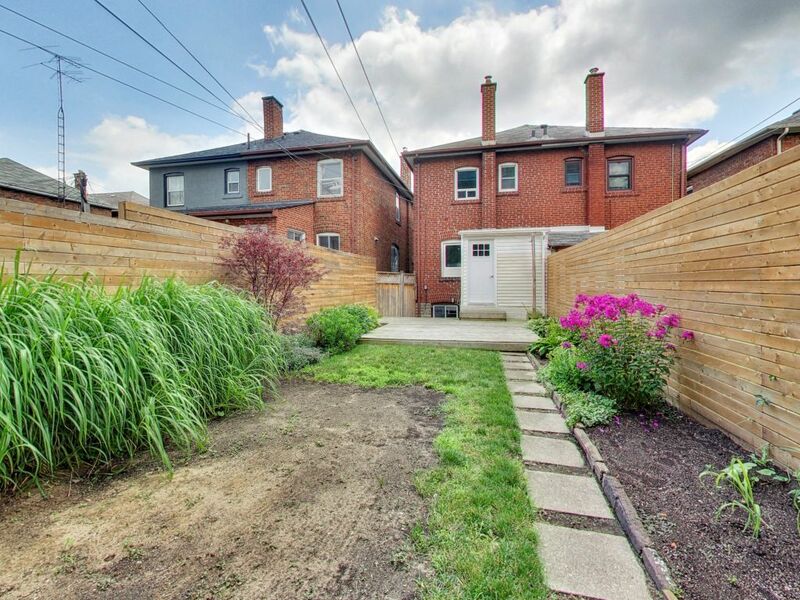 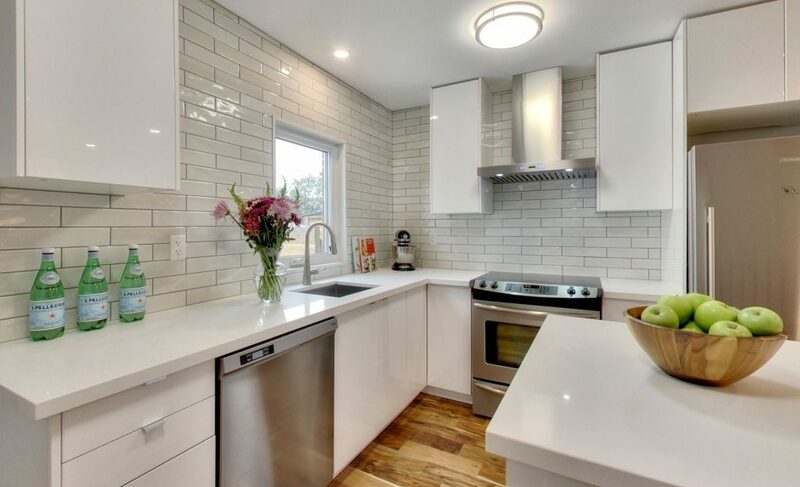 ft.
Sold in upper Baby Point in Toronto – Beautiful, fully renovated 3 bedroom, 2 bath semi-detached with a lovely yard, detached garage & parking. 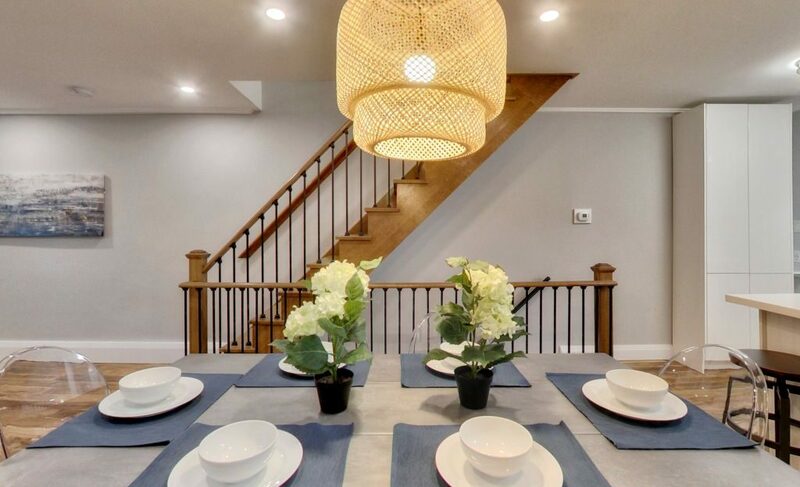 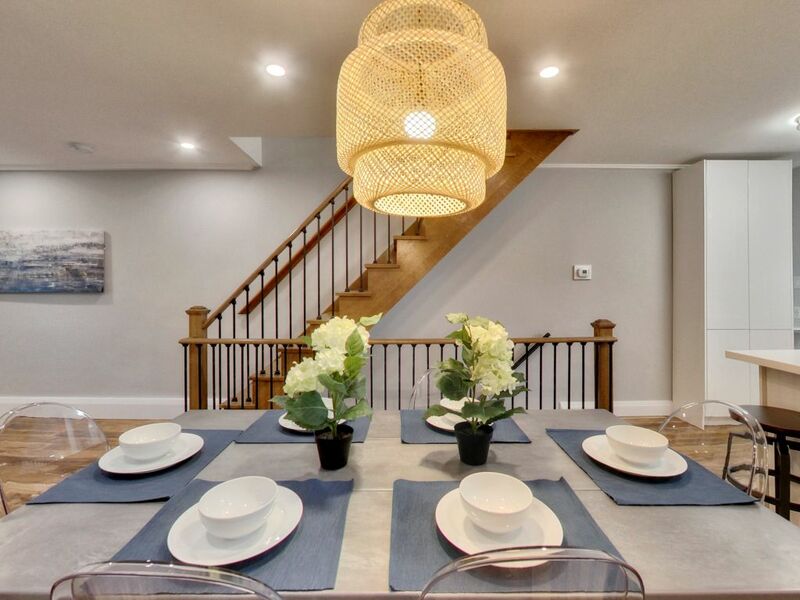 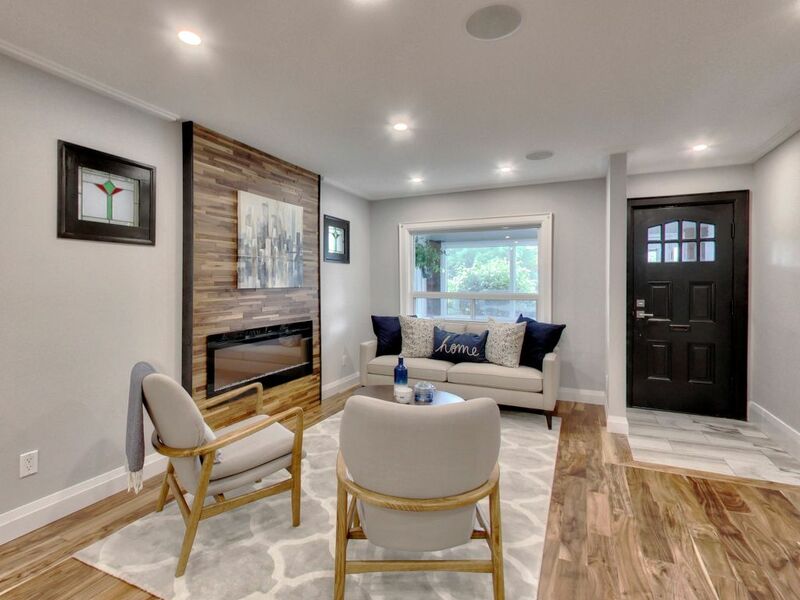 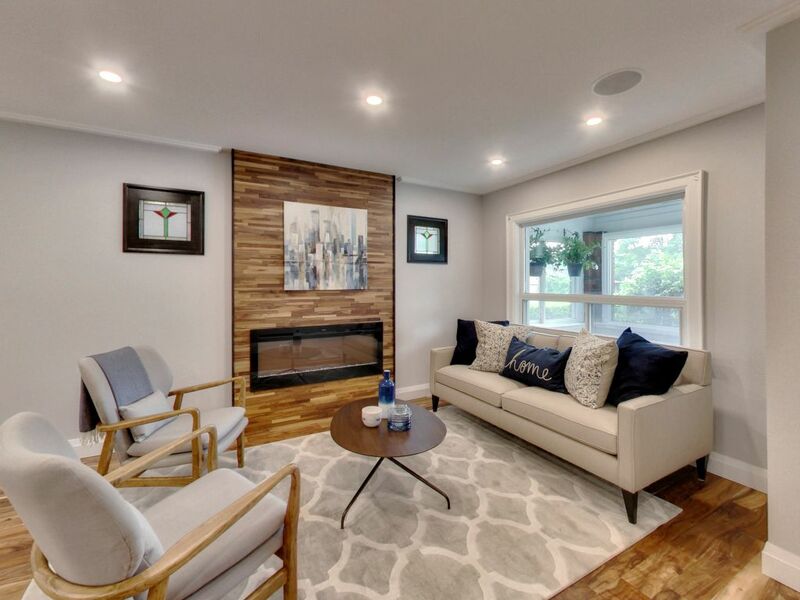 The main floor features a convenient enclosed porch, open concept living room with a fireplace, large dining space and brand new kitchen with island seating for two. 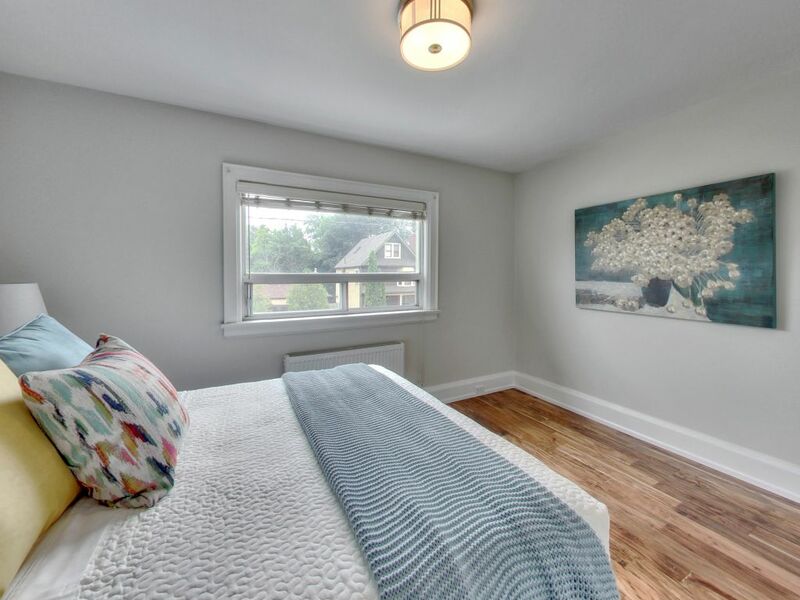 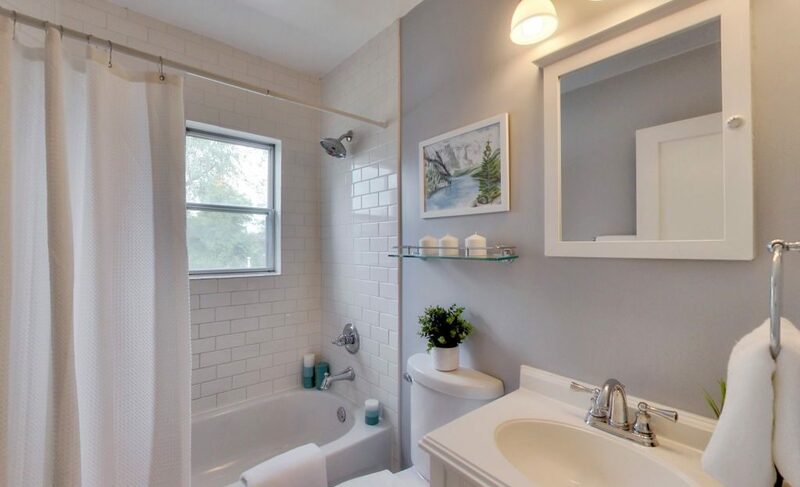 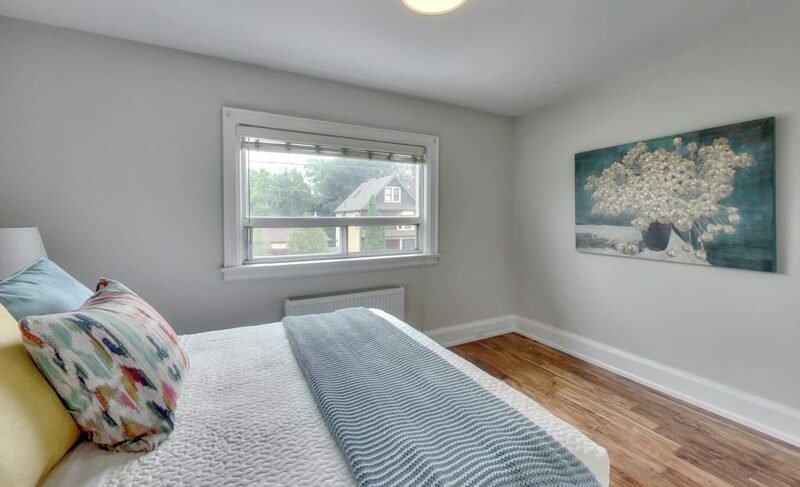 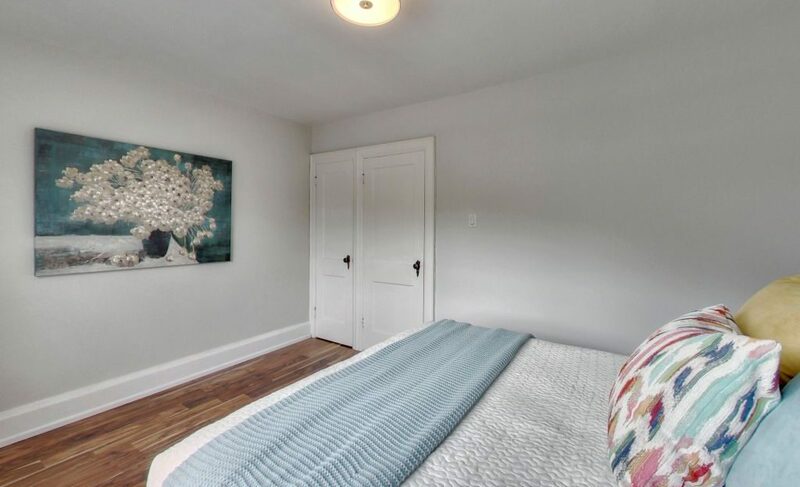 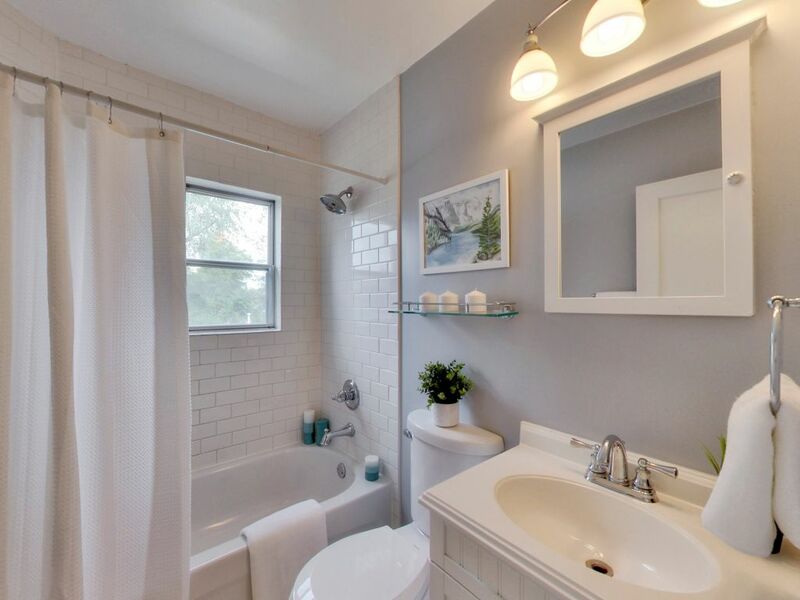 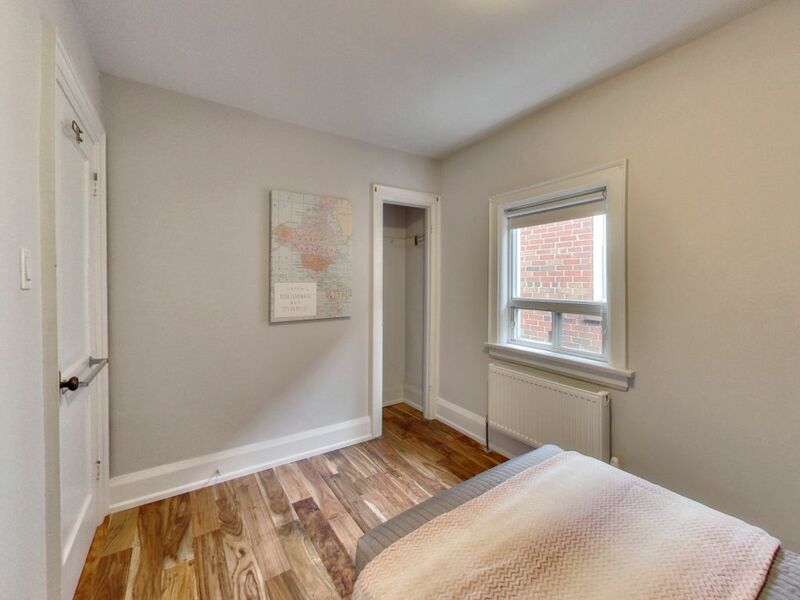 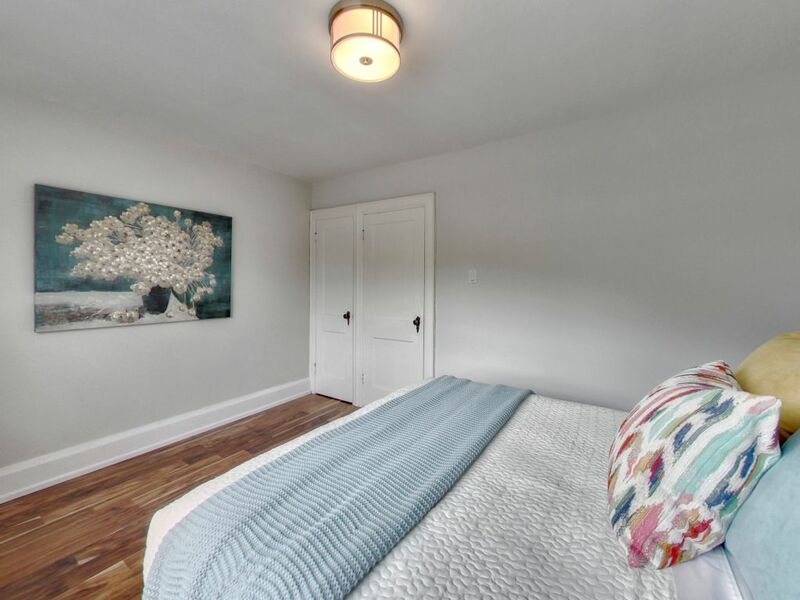 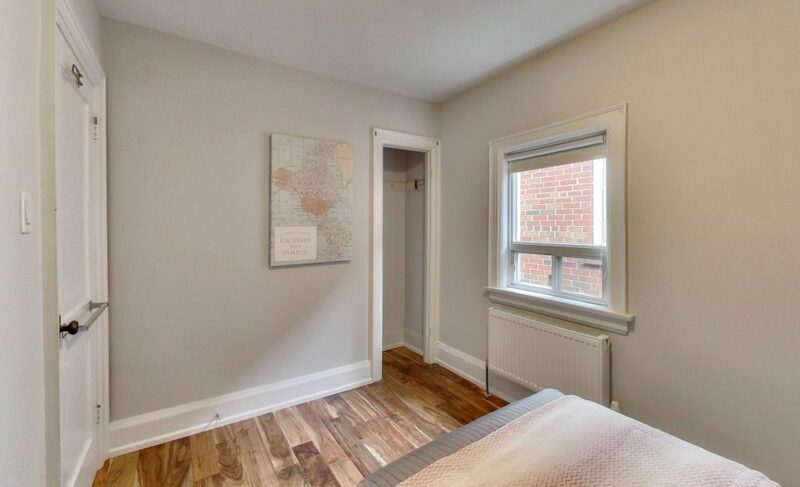 Upstairs you’ll find 3 bedrooms with good closet space, new walnut hardwood floors and a renovated 4pc bath. 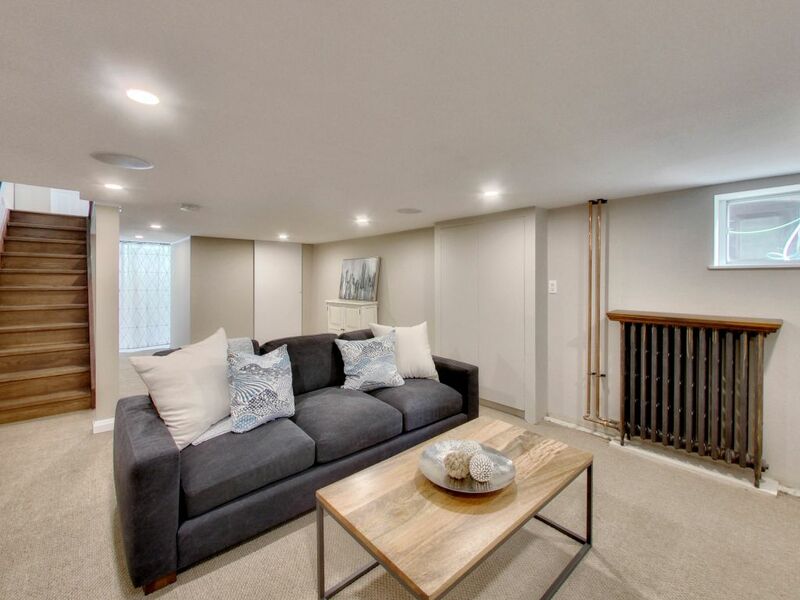 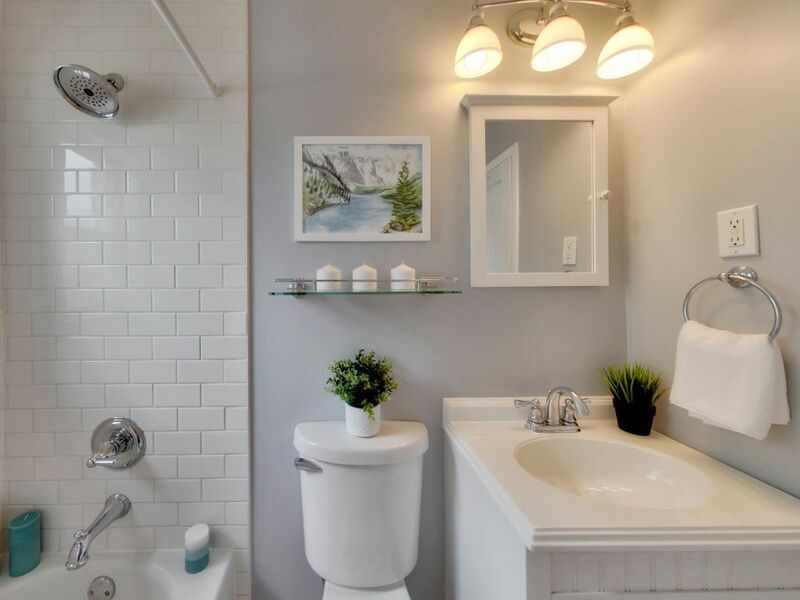 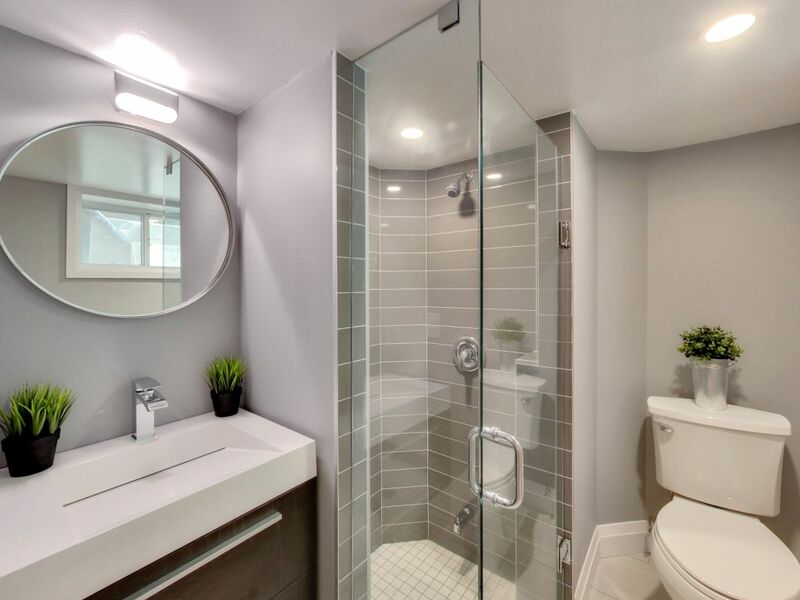 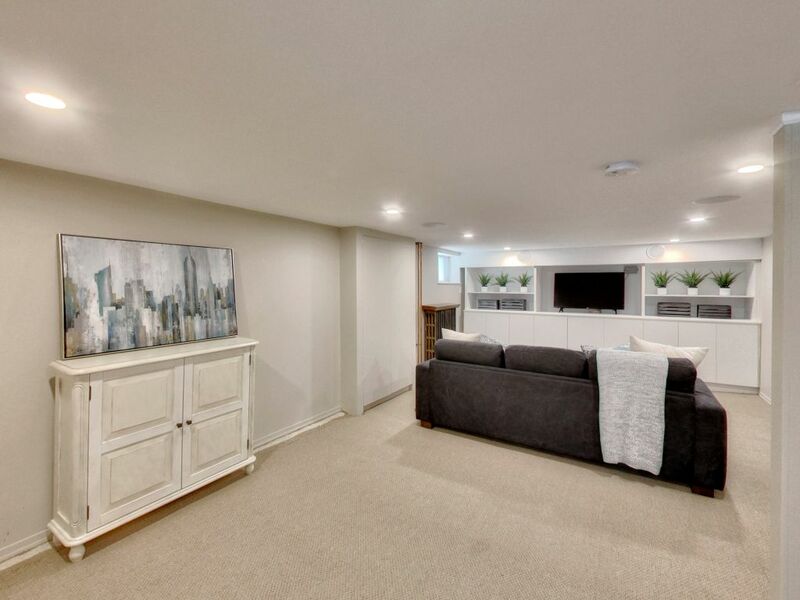 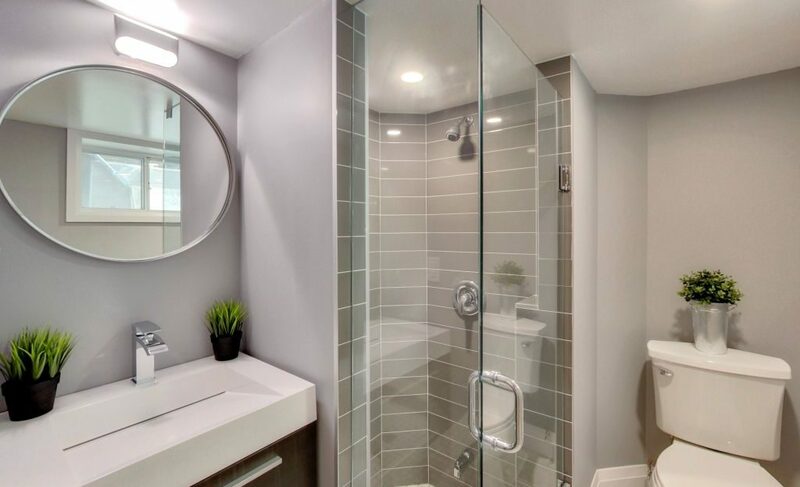 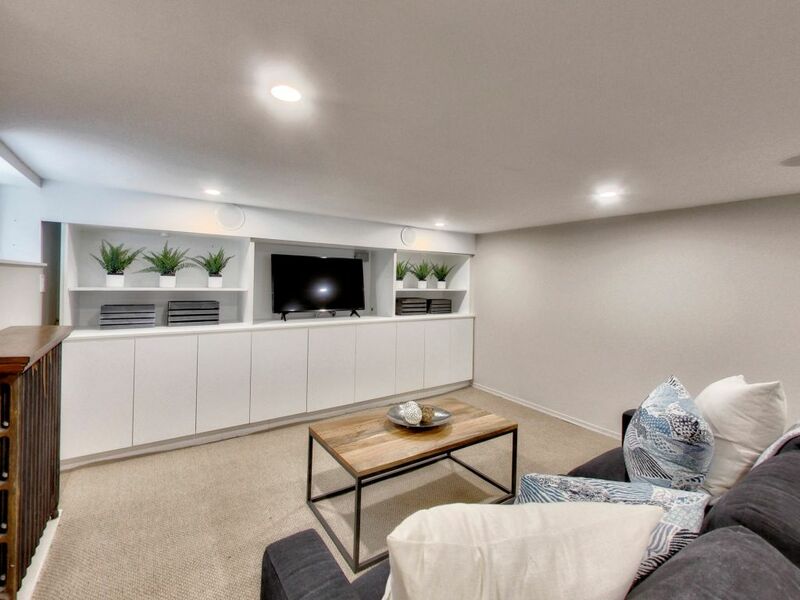 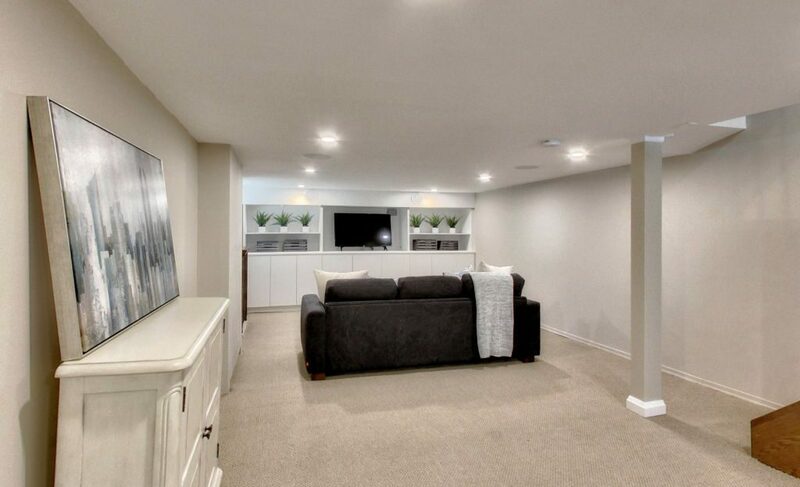 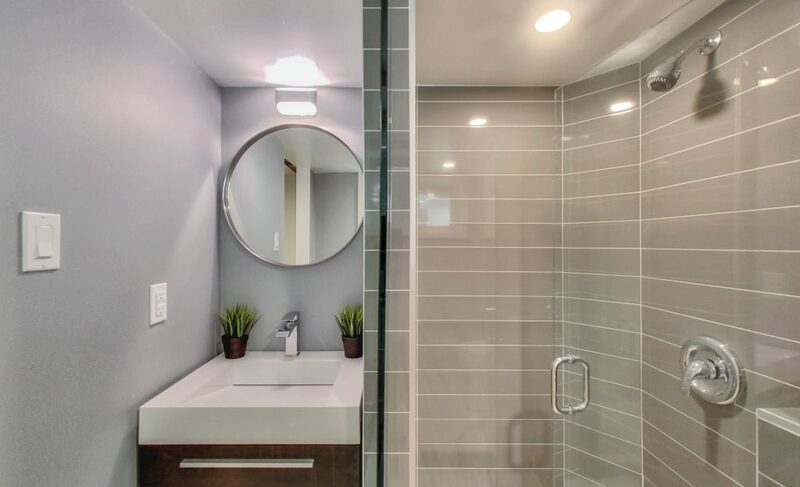 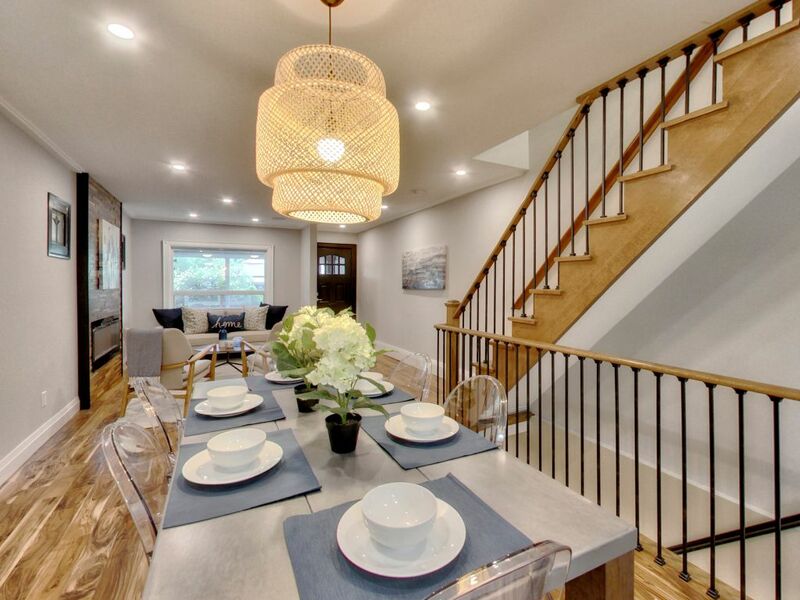 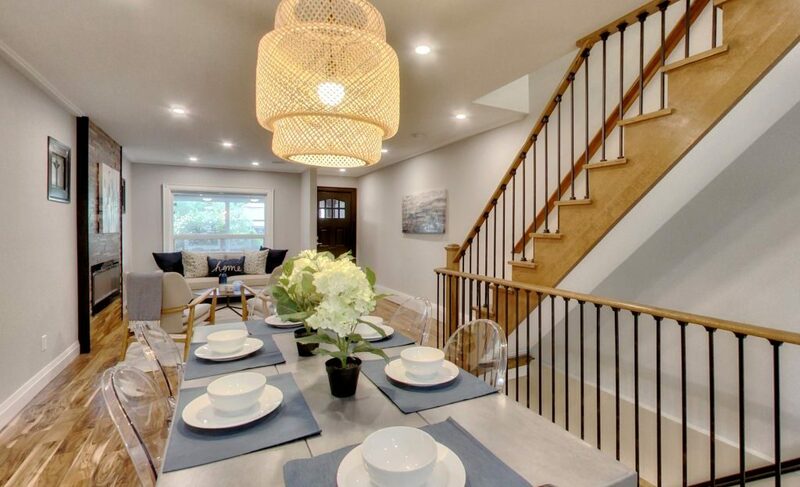 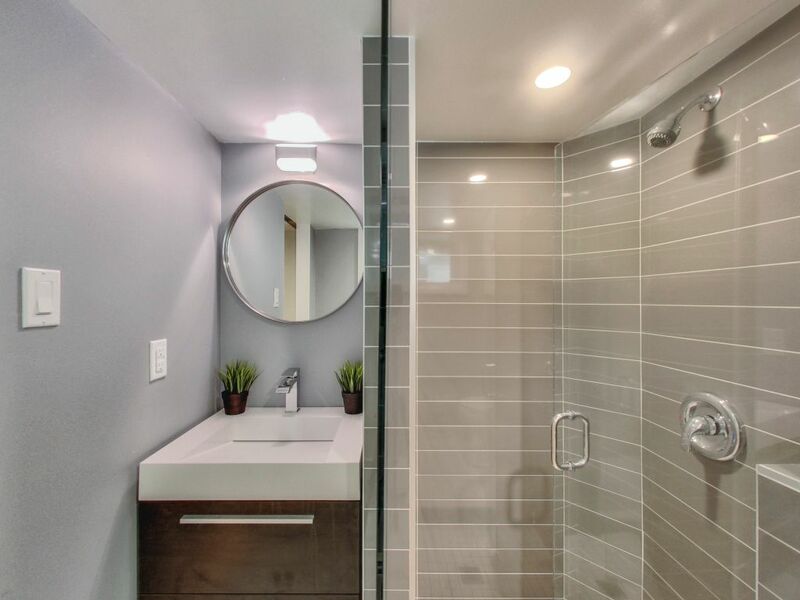 On the lower level you’ll find a large rec room with custom built-ins, a new 3pc bath and laundry area with storage. 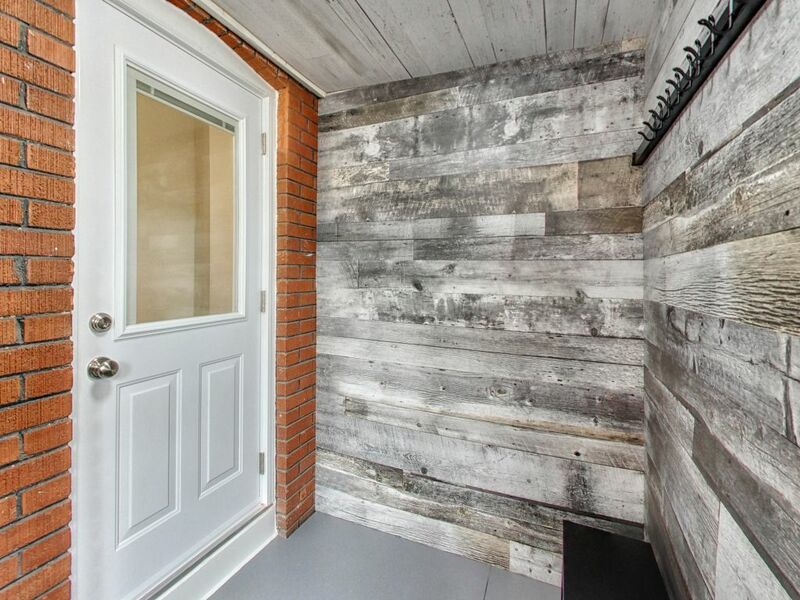 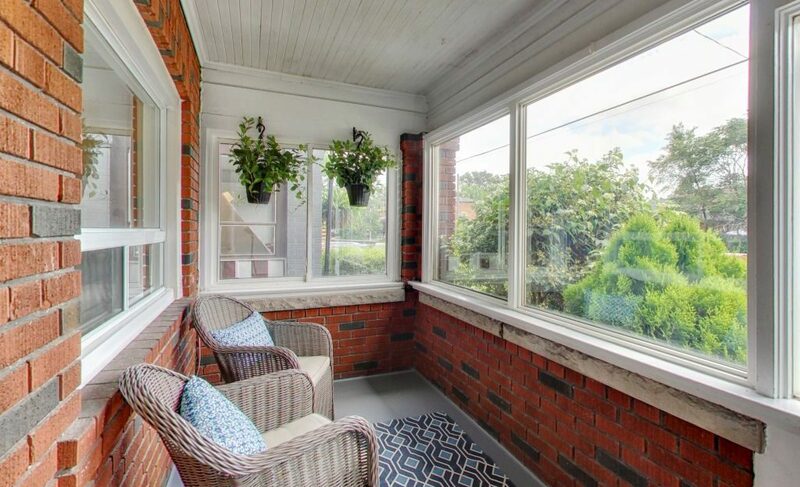 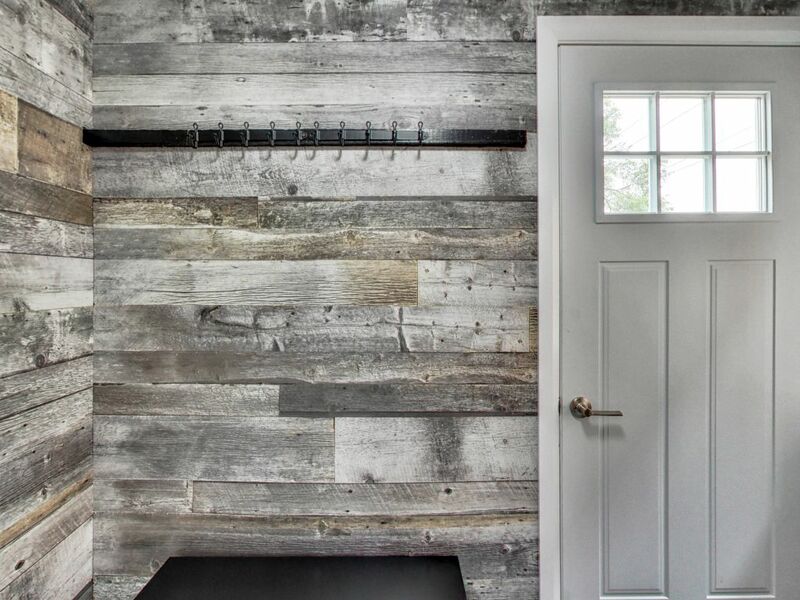 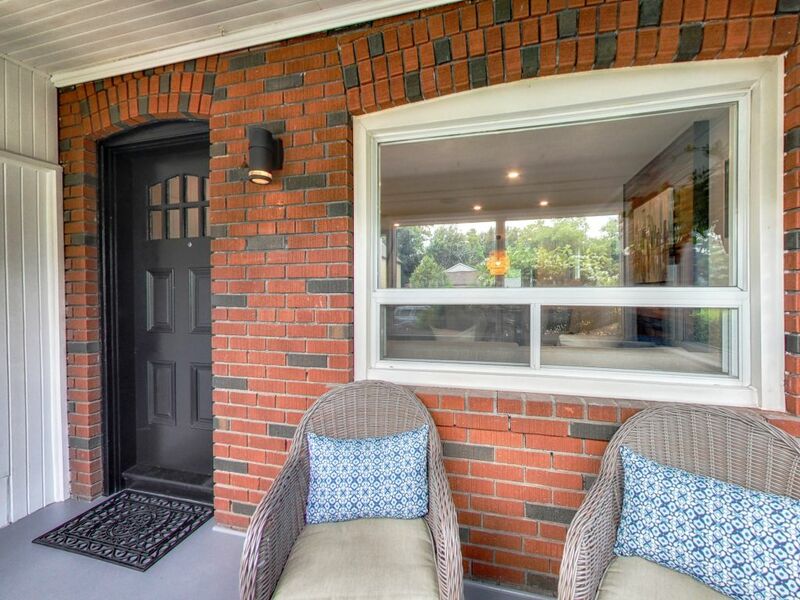 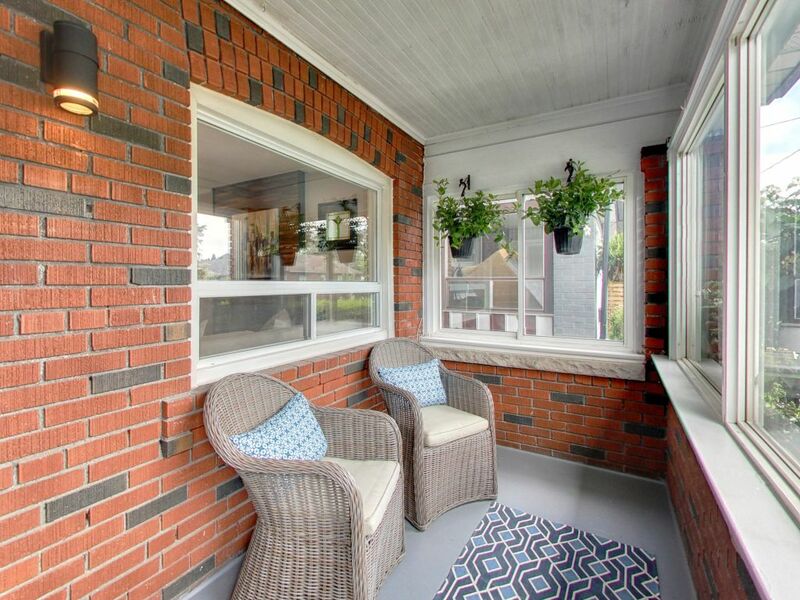 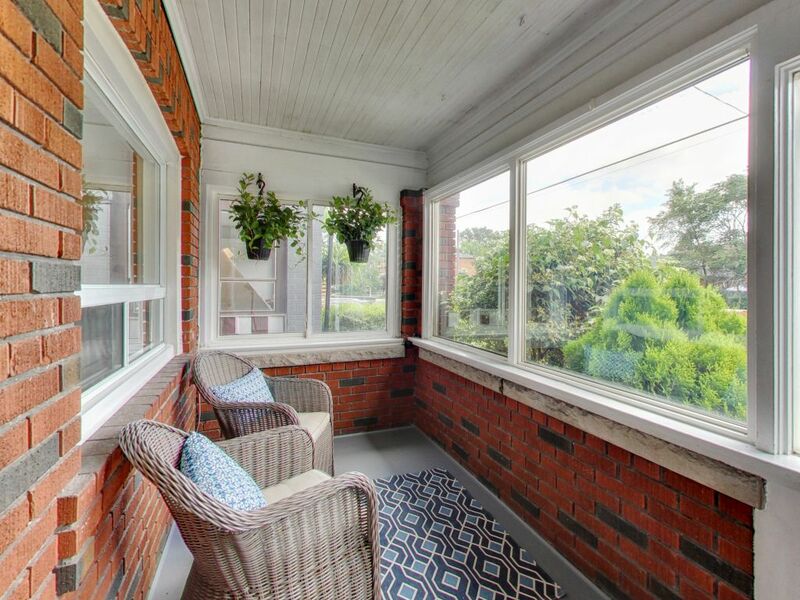 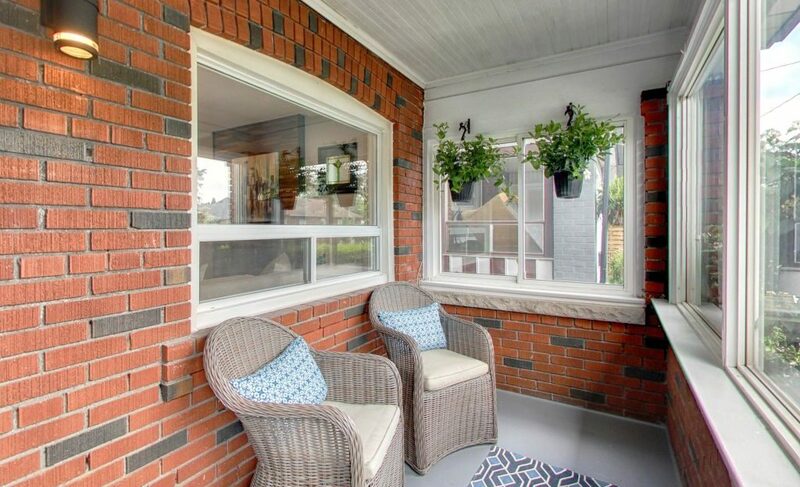 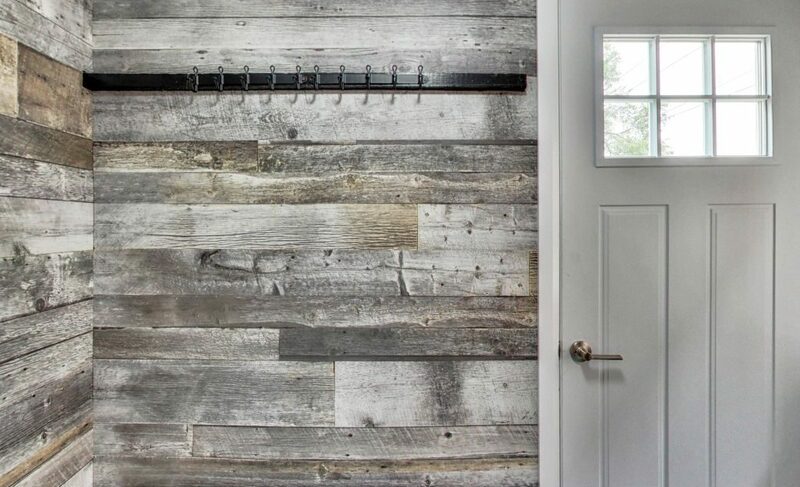 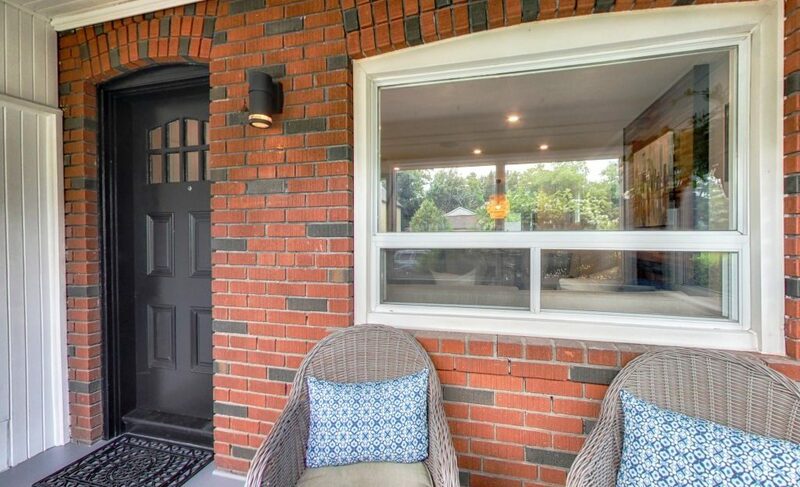 In the backyard there is a convenient mudroom leading to a deck, perfect for entertaining friends and family. 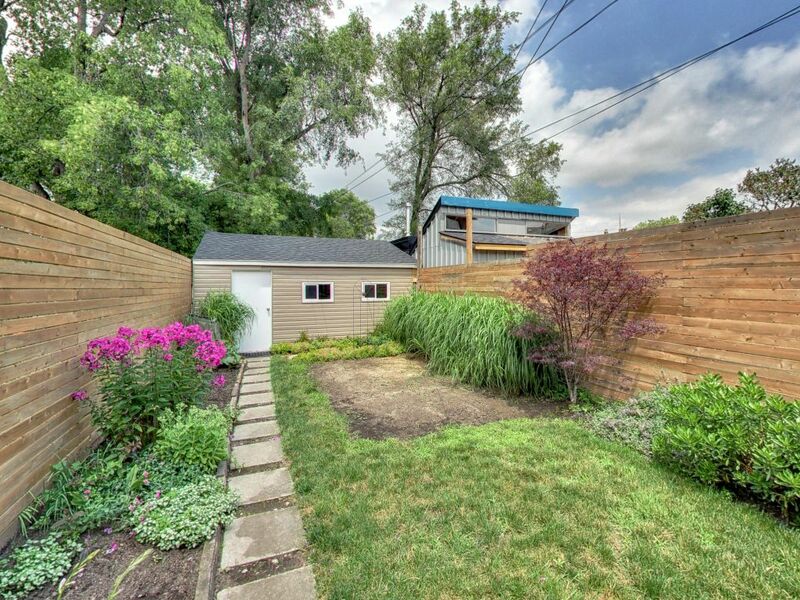 The fully fenced spacious yard has a grassy area for children or pets and space to build your dream vegetable garden! 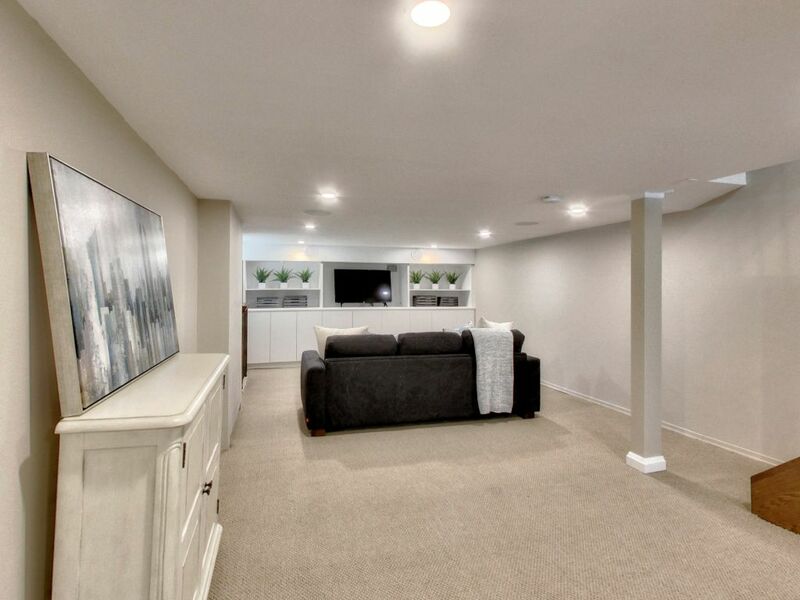 There is also an oversized detached garage with parking for 1 car and extra storage space. 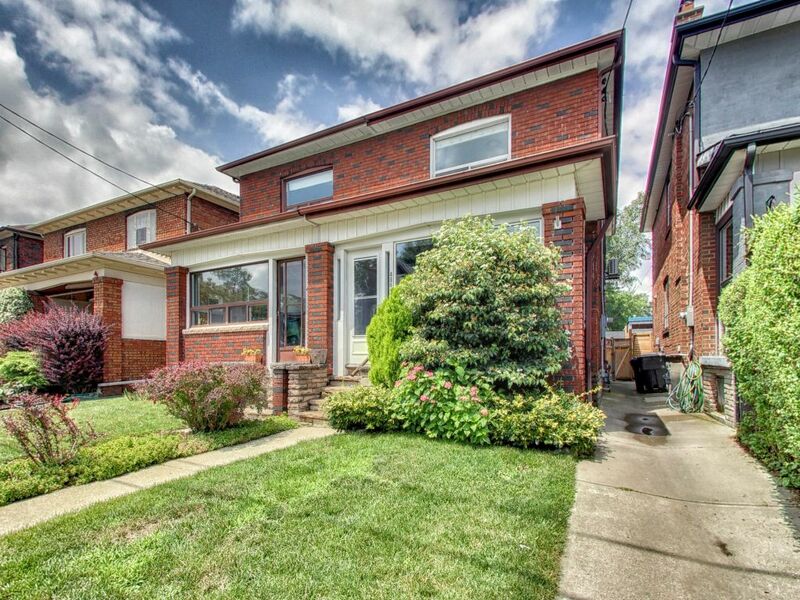 Located in upper Baby Point close to the coveted Humbercrest JMS with a very popular french program. 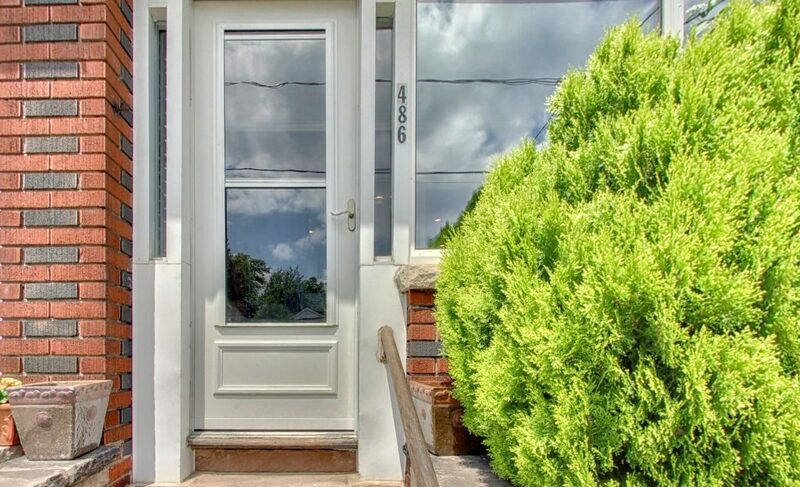 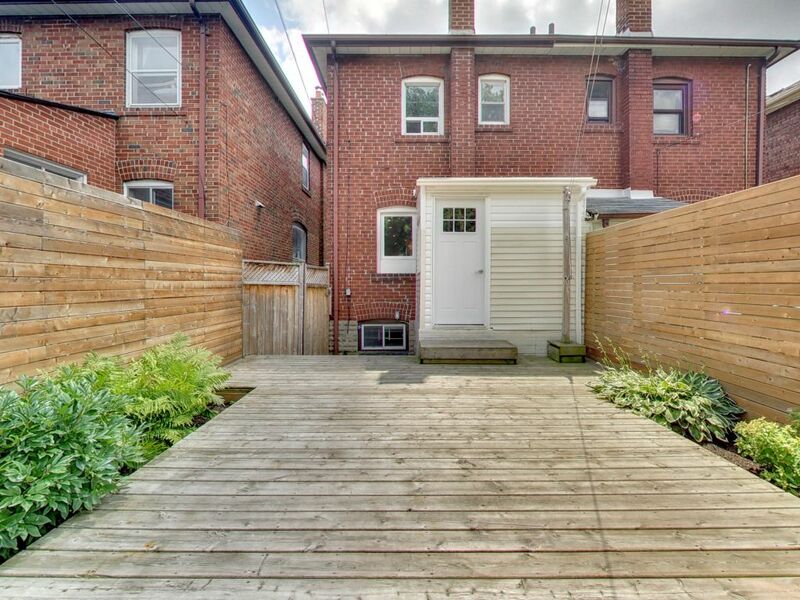 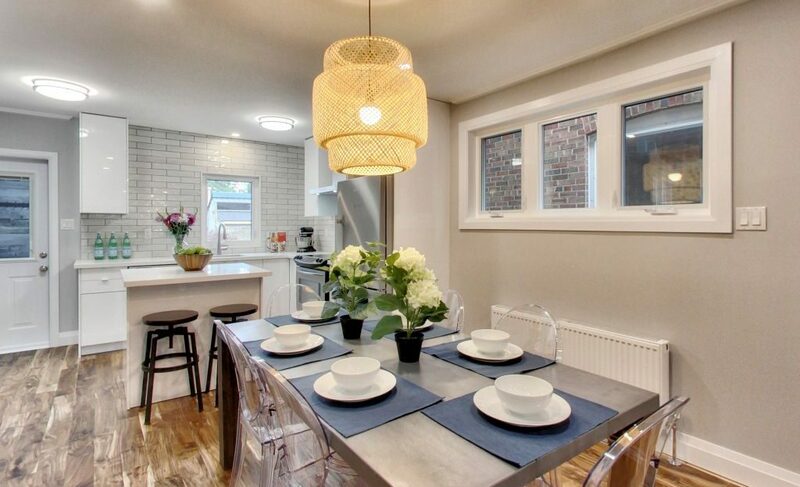 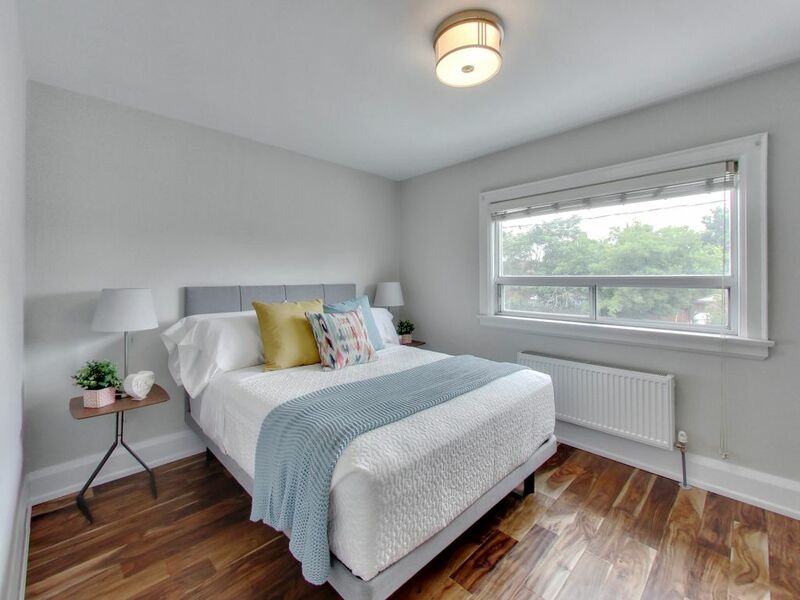 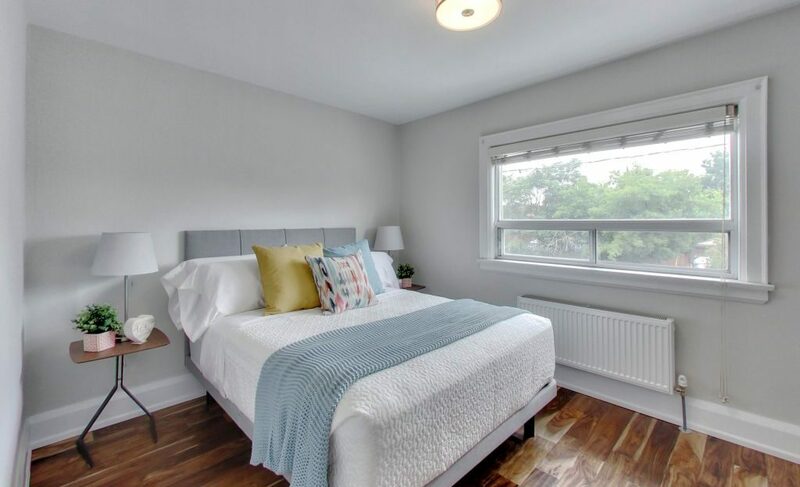 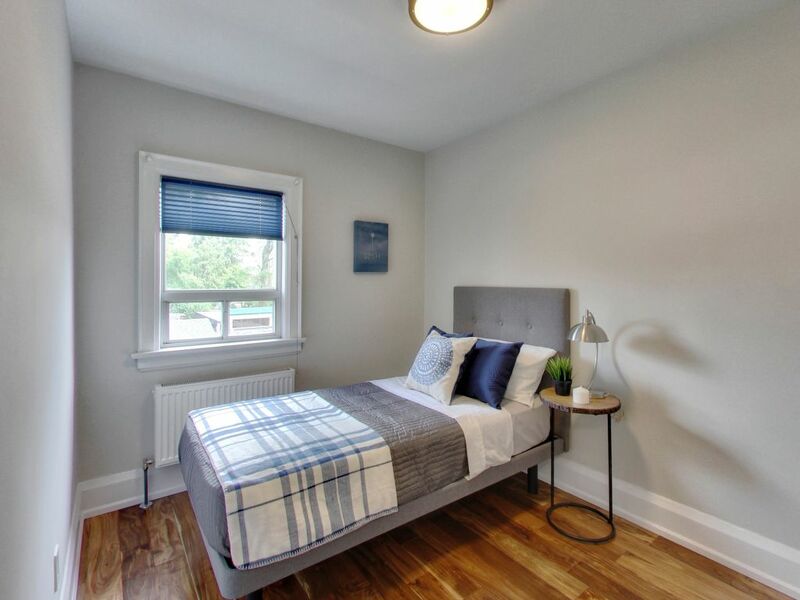 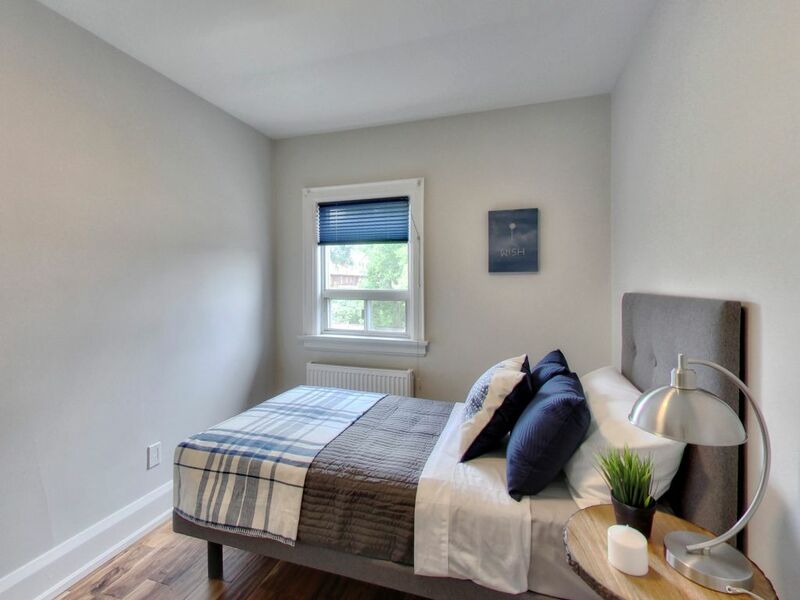 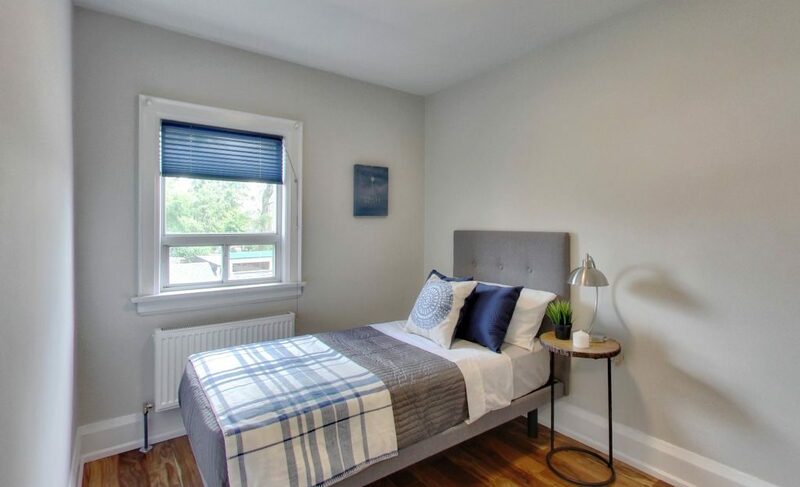 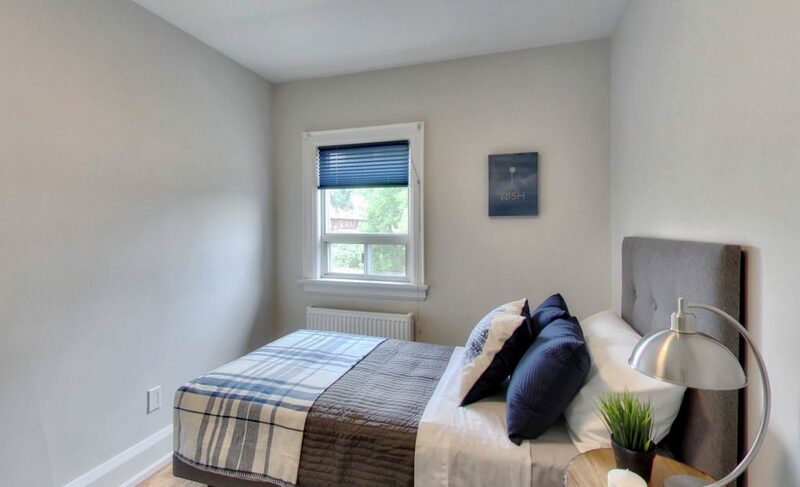 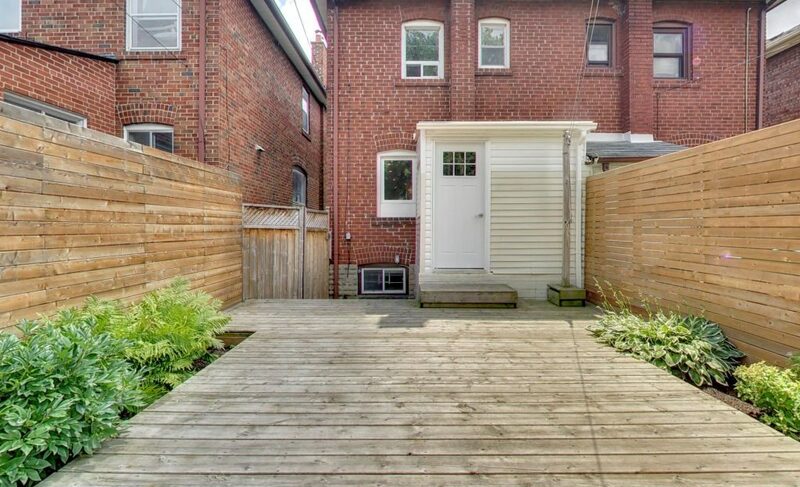 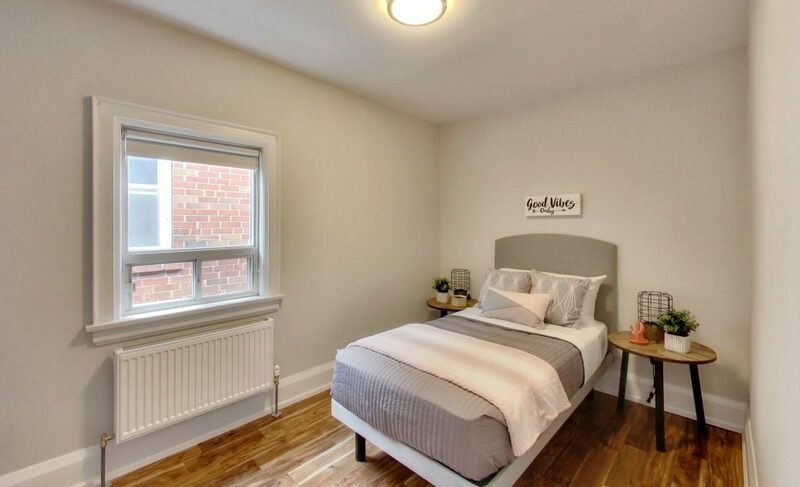 This home is conveniently located just steps to the TTC and a short walk to Jane & Annette where you can find shops and plenty of dining options.